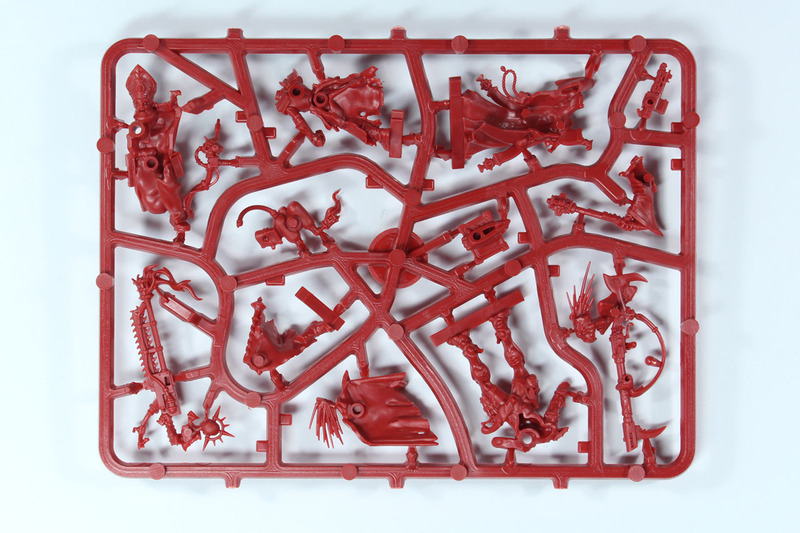 Back in 1989, Games Workshop teamed up with Hasbro / MB and released with Heroquest - a fantasy board game with miniatures. 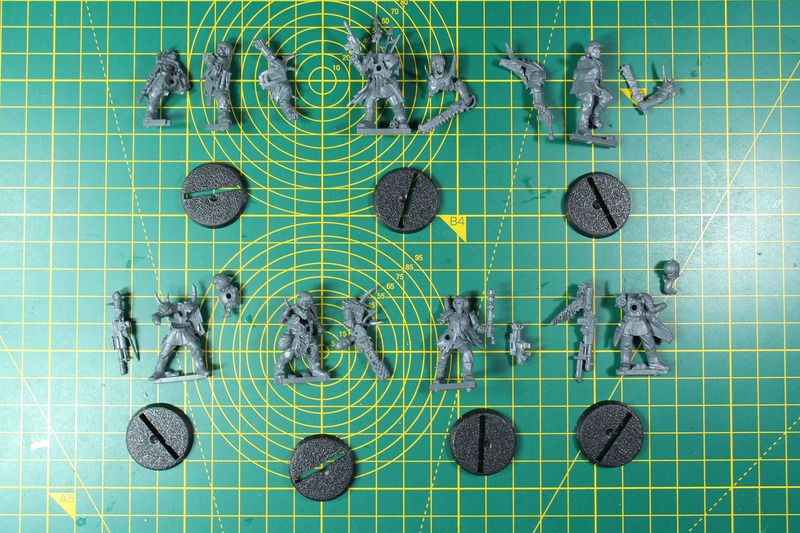 For many this was the beginning of their wargaming hobby. Due to the fact, that it was a board game and sold as such in toy stores and not "just" comic book and gaming stores, the game reached a much broader audience. 2 years after they stopped producing Heroquest in 1993, a derivative - Warhammer Quest - was introduced. 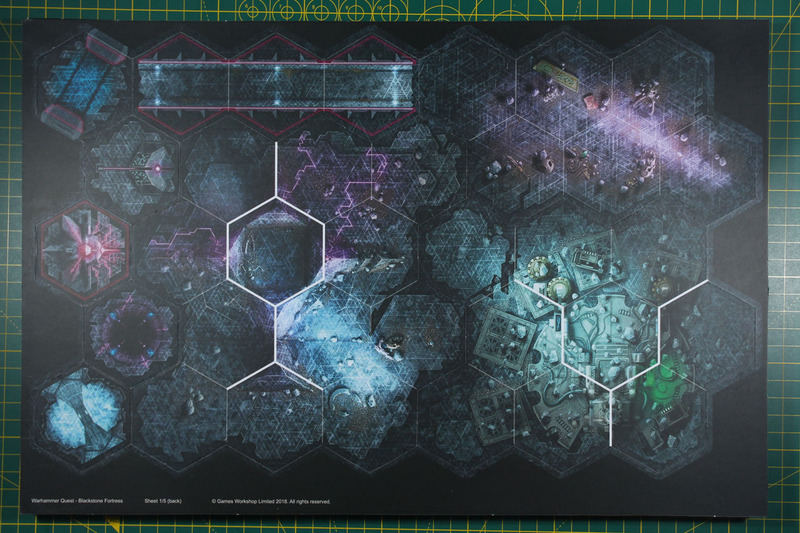 Still using the Citadel Miniatures but featuring now modular floor tiles instead of a fixed board, the game was a success and received a lot of additional content in form of supplements, articles in White Dwarf and Citadel Journal. 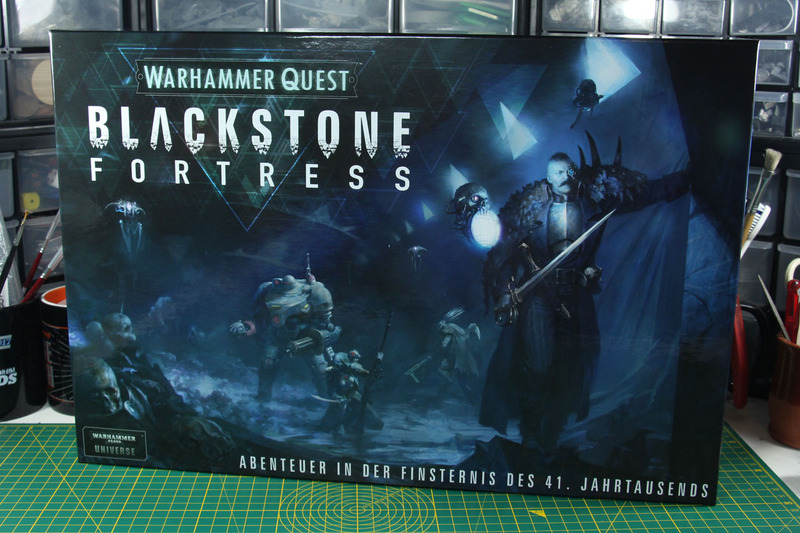 And now, with Warhammer Quest Blackstone Fortress Games Workshop continues the more than 20 year old brand and expands it for the first time into the universe of Warhammer 40,000 (as Space Crusade etc. are games of their own). 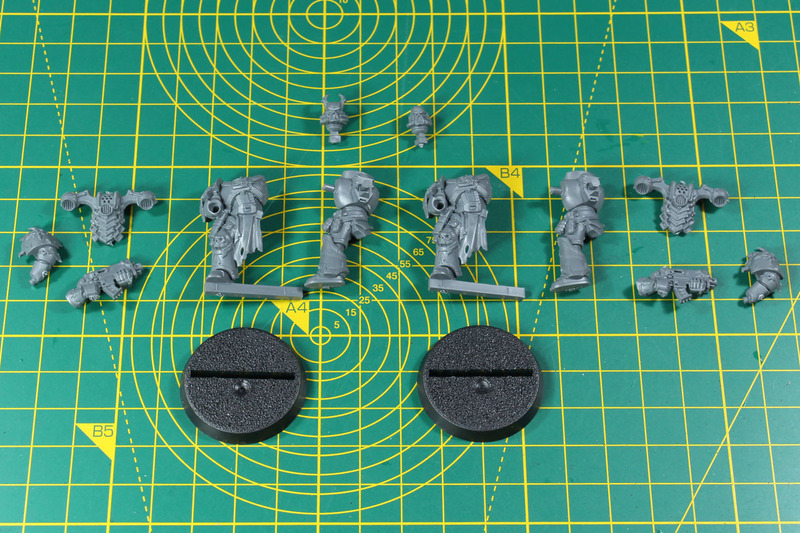 It comes a bit as a surprise, as we already had quite a lot of boxed sets this year by Games Workshop, just last month the one-off Speed Freeks, the month before that the Rogue Trader expansion for Kill Team. But here it is, a massive dungeon crawler just before Christmas. 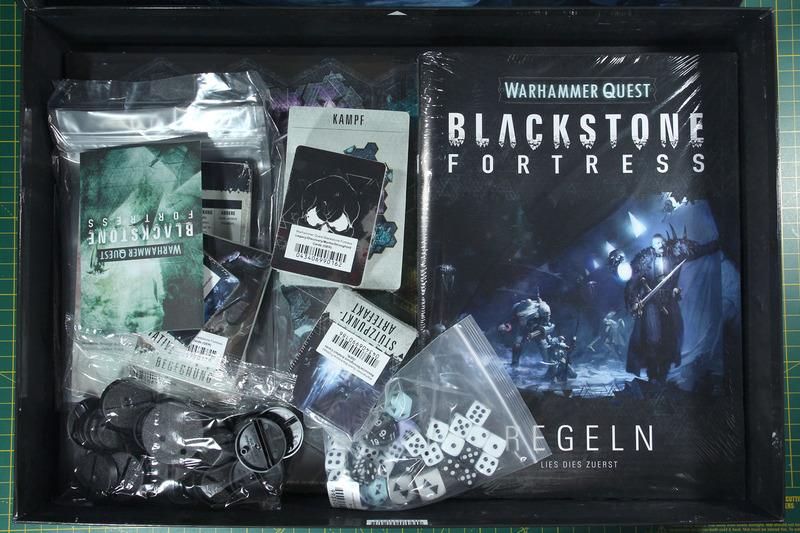 Blackstone Fortress is set at a price of 125 EUR and covers 44 citadel miniatures, along with modular tiles, multiple booklets (a 16 page rules booklet, 16 page combat booklet, 24 pages precipice booklet, 24 pages booklet on lore and 16 page booklet for using the miniatures in Warhammer 40,000 Games) and a lot of token and dice (70 markers and 28 dice of different kind). 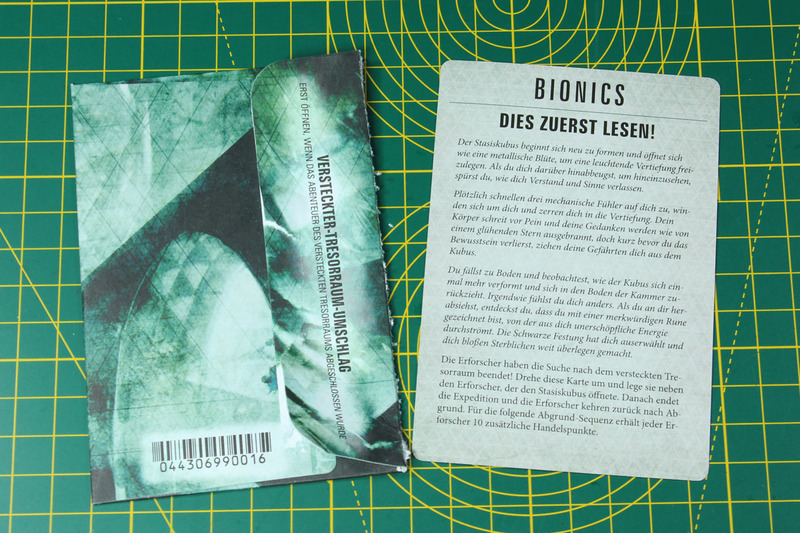 There are a total of 234 gaming cards included with this game, in quite a lot of different sizes, so you might want to take a look on your stock of sleeves for them. 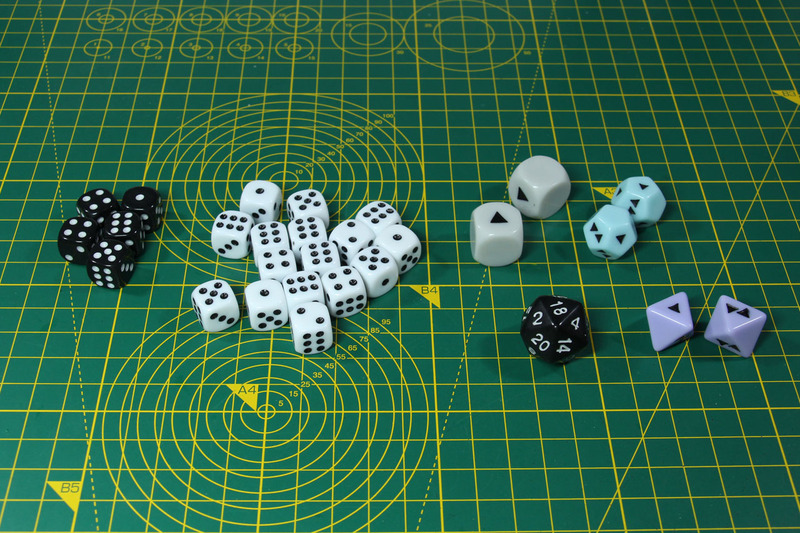 The 28 dice are regular D6, special attack dice as D6, D8 and D12 as well as a D20. 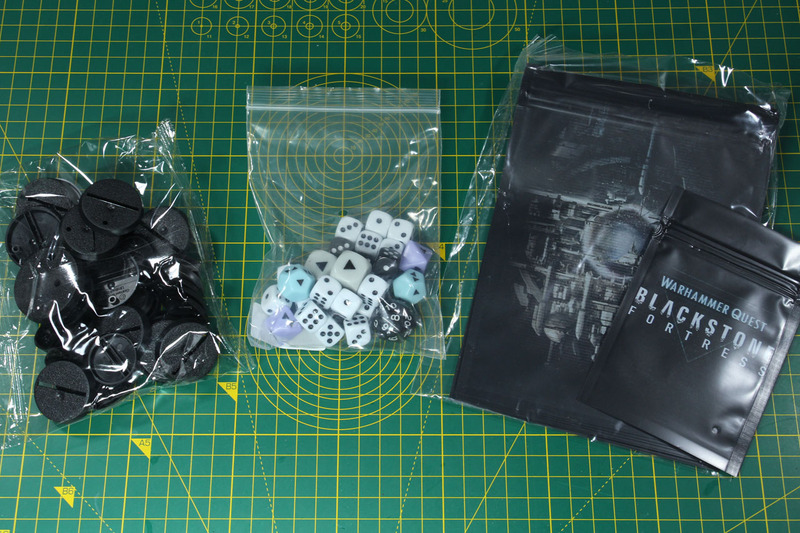 And there are a couple of different bags included with the box as well. 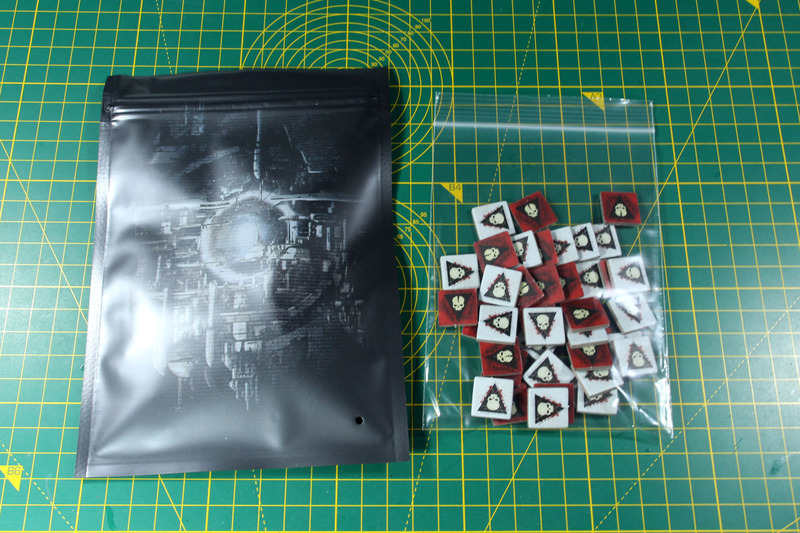 For example clear bags for the tokens and markers and printed bags of two sizes to be used to store your gaming process and characters between matches (or to store the current gaming in between sessions). When they expect you to take breaks between the games, you can expect a game of some length and duration. Usually dungeon crawlers are set in dungeons (D'uh...) and in space, sci-fi or other futuristic settings, they play on colonies or space ships. 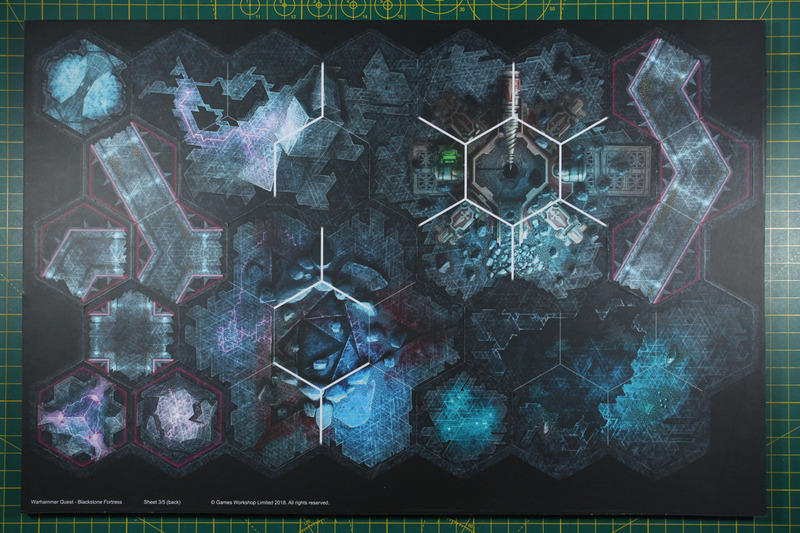 In this case it is some sort of a colossal sized space ship citadel, a Blackstone Fortress. 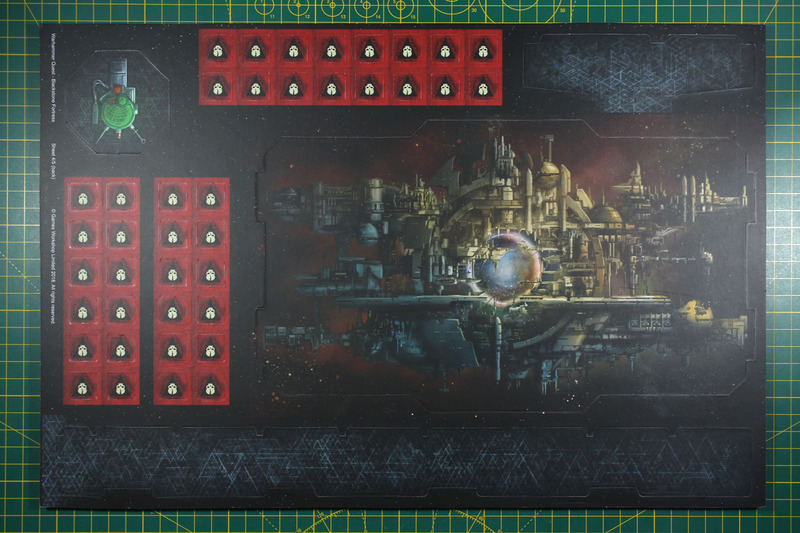 Of these alien-constructed citadels six were found in the early ages of the Imperium. 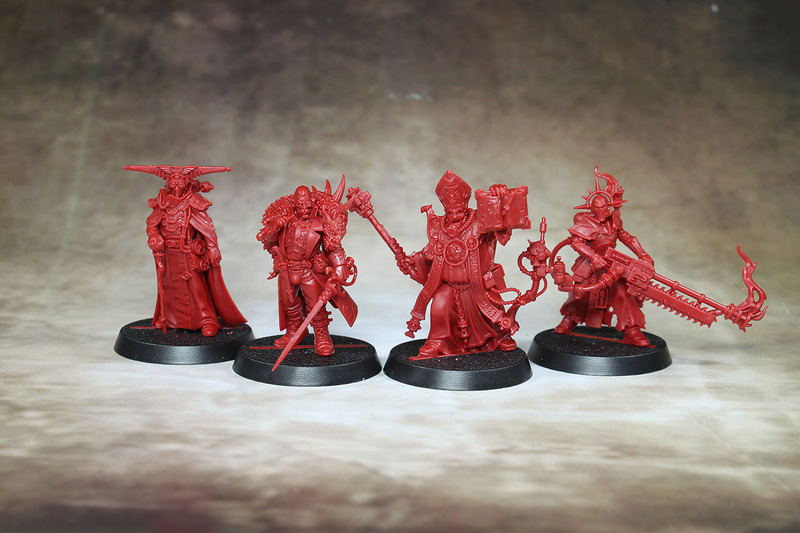 But all of them were lost by the twelfth Black Crusade of Abaddon, with two fallen to the Heretics of the forces of Chaos and the remaining four being destroyed. 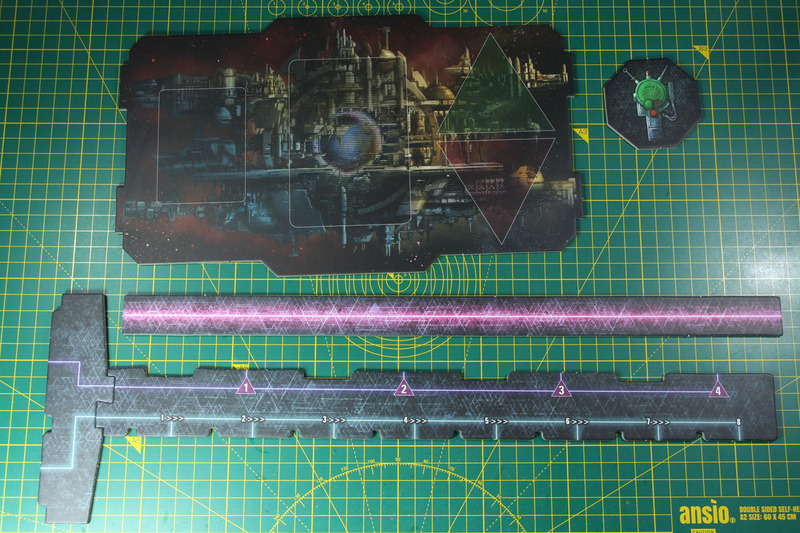 In case you're not familiar with the Warhammer 40,000 lore and can not make an image of a Blackstone Fortress, imagine something along the edges of a Deep Space Nine station, but set in the grim dark of the Warhammer universe. And these fortresses are incredibly huge, Games Workshop even released a miniature of them for their space fleet game of Battlefleet Gothic. 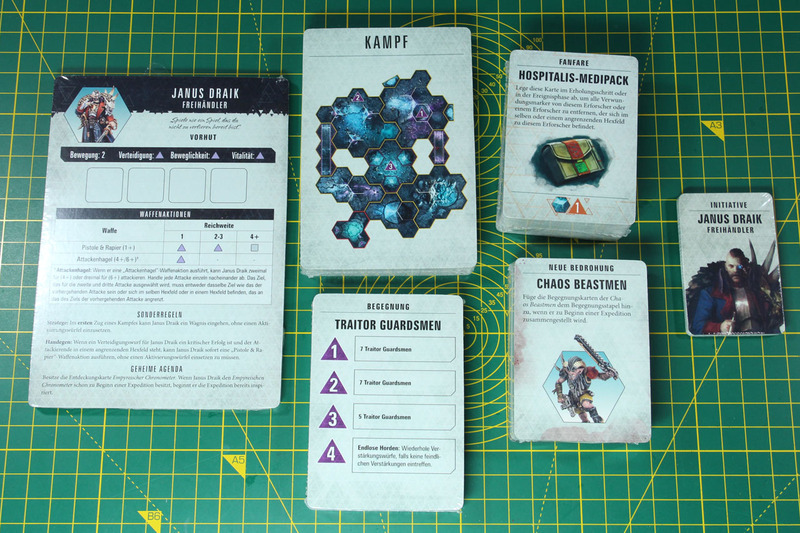 But now in a silent sector of the galactic west, a new Blackstone Fortress has appeared and a couple of characters have set course to explore the secrets that are kept within. Setting the mood and starting point for this dark dungeon crawler. 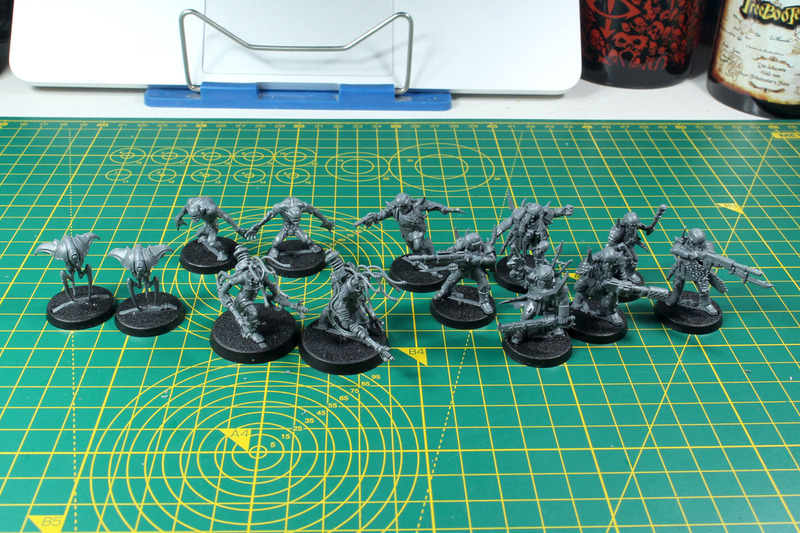 Games Workshop invested a lot of time and effort in the pre-coverage of the Blackstone Fortress release. 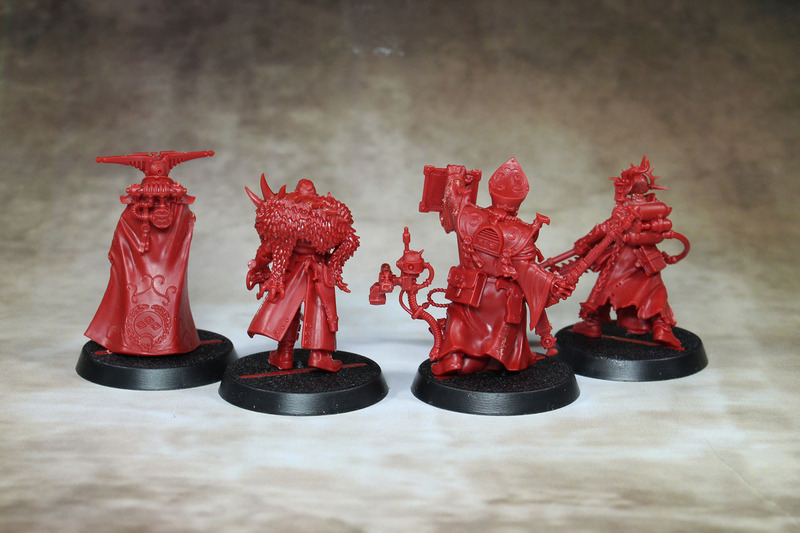 Warhammer Community published almost daily articles on the lore, the characters / miniatures, the tie-ins with the background and easter-eggs, a very well done how to play video and of course a couple of painting videos. 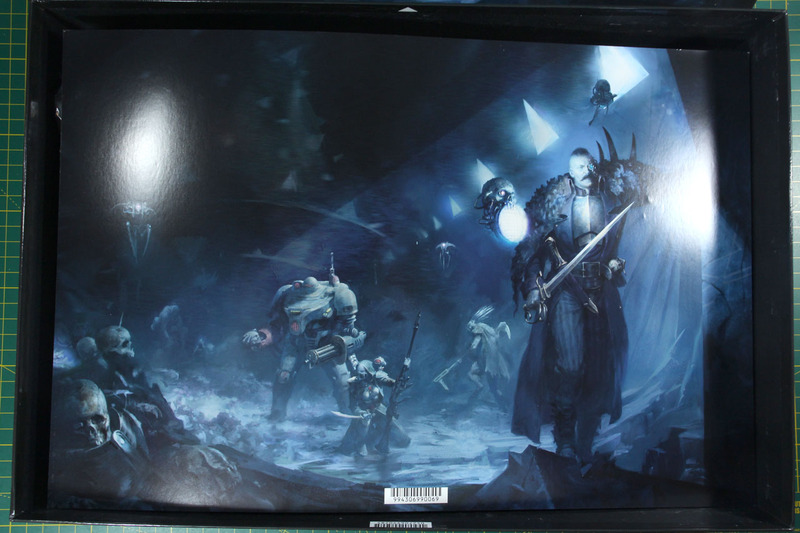 They set a hashtag for the game as well, as it is released on Black Friday, one day early of the regular Saturday release schedule of Games Workshop Novelties. You can find #blackstonefriday on Twitter, Instagram and Facebook. So the tension rises and the expectations with them. 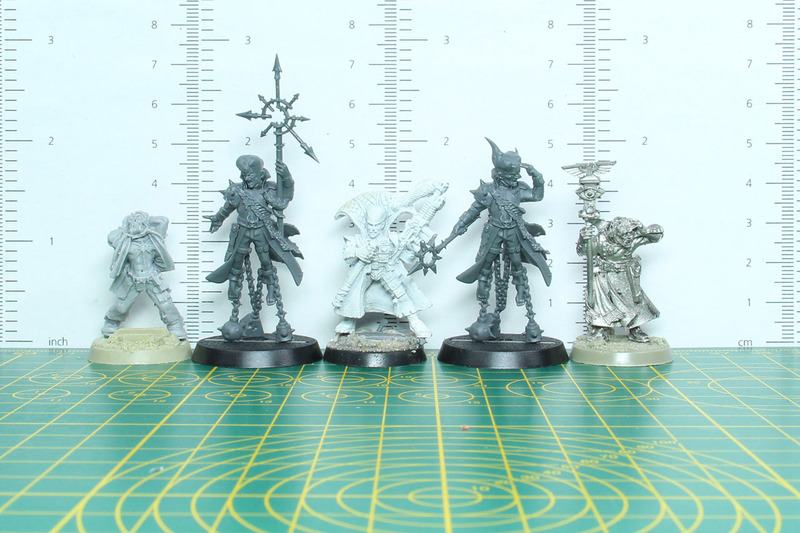 I'll get toward the miniatures further below. 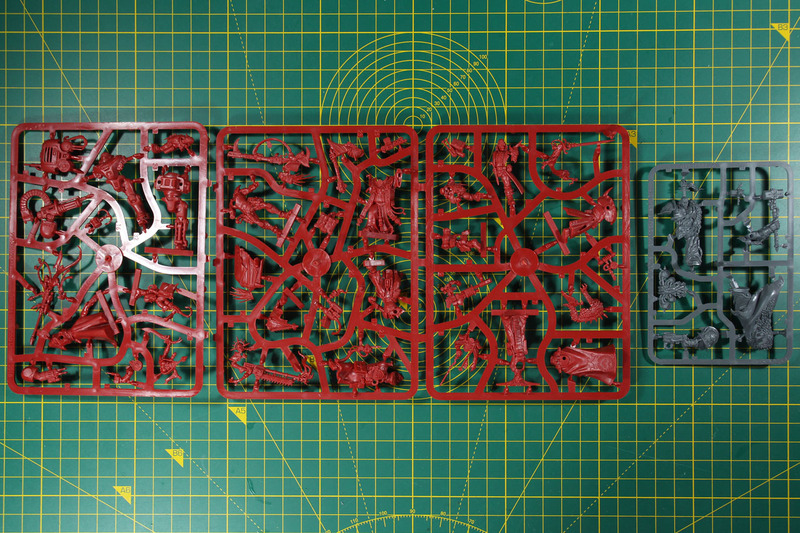 But as Warhammer Quest is known to be a board game with modular floor tiles, let us take a look at these first. 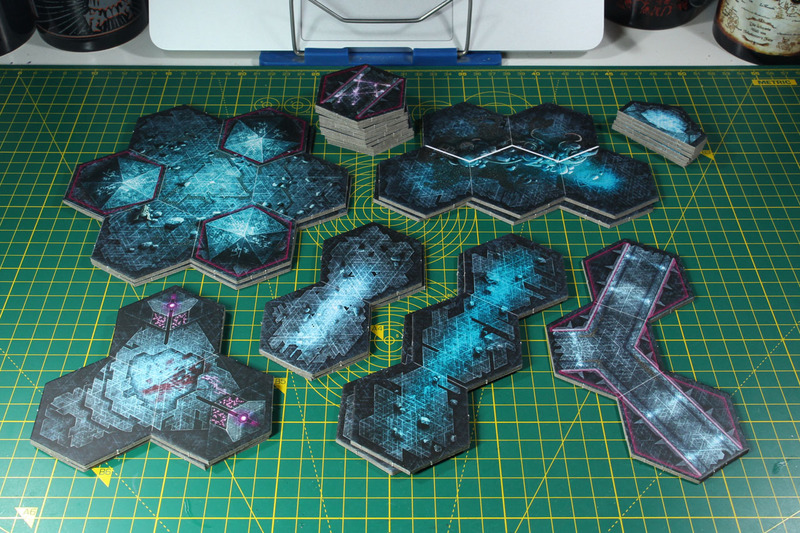 Where Warhammer Quest used regular squares, for a dungeon crawler set in the sci-fi universe of Warhammer 40,000 you need something a little bit different. 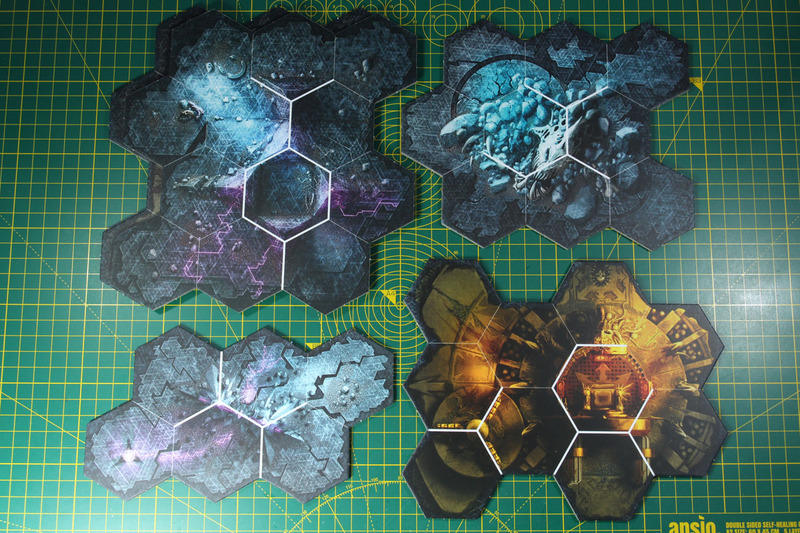 With Blackstone Fortress the game designers went with hex tiles. 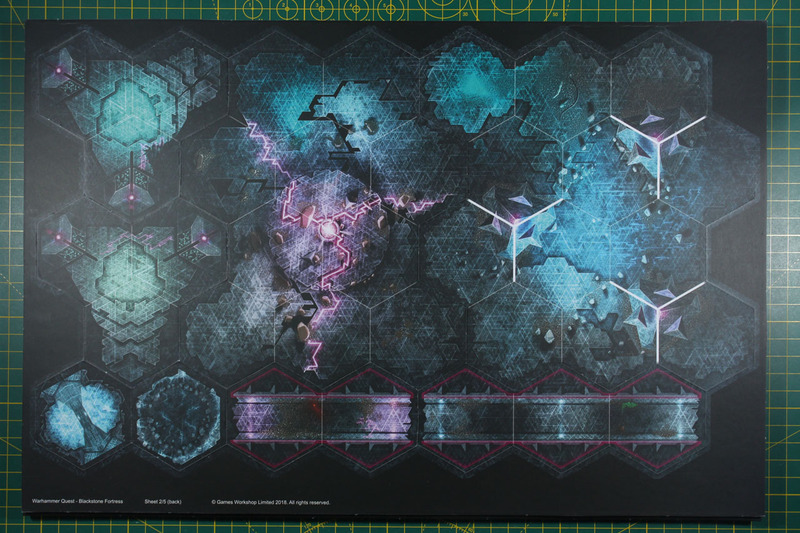 There are a total of 40 double-sided board tiles to create the internal labyrinths spread across 3 heavy cardboard sheets. The used cardboard is pretty thick and sturdy, around 3mm strong. You have individual shapes for the larger rooms and a lot of smaller pieces to connect them. 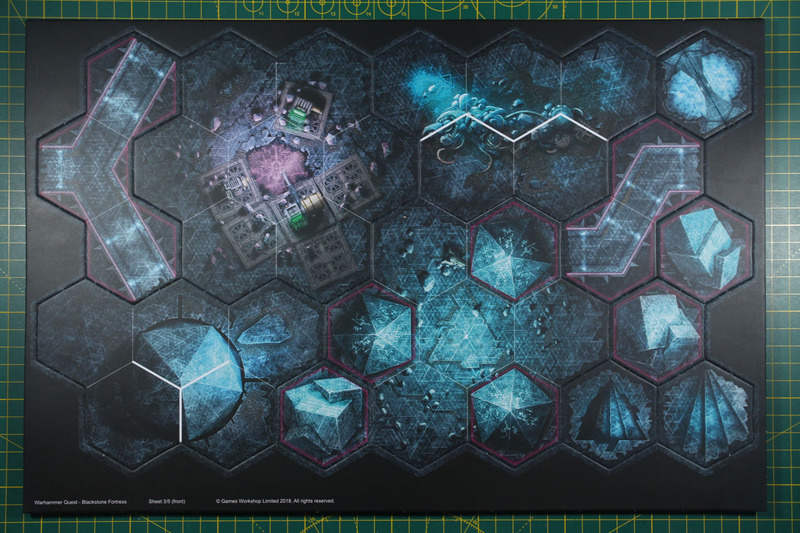 The size of the hexes is slightly larger than the Underworld fields. 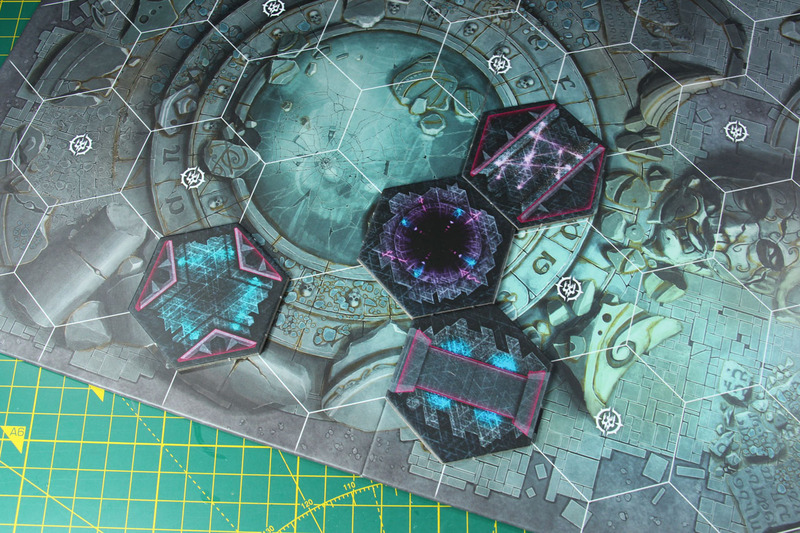 If you want to do something fancy, you could play a match of Underworlds on the modular Blackstone Fortress tiles. Who knows what secrets the mirrored city of Shadespire keeps hidden or where the Nightvault leads you? 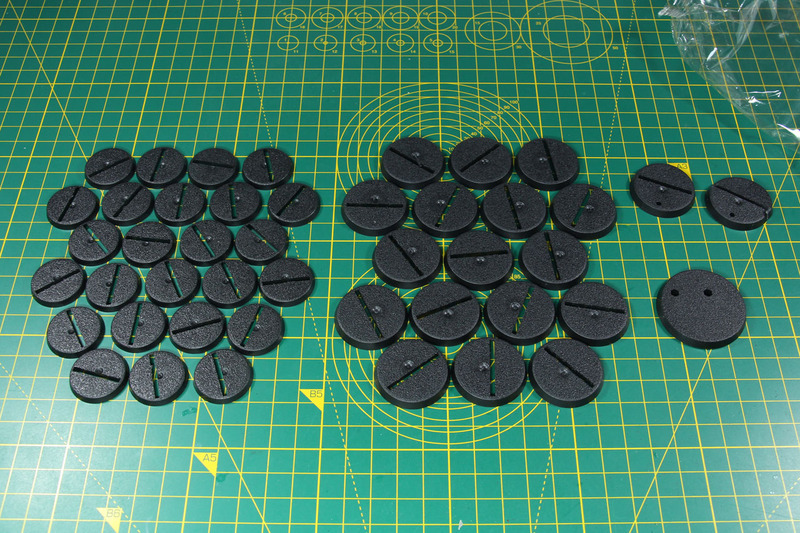 A lot of the games' markers and accessories are made from the sturdy 3mm cardboard as well. 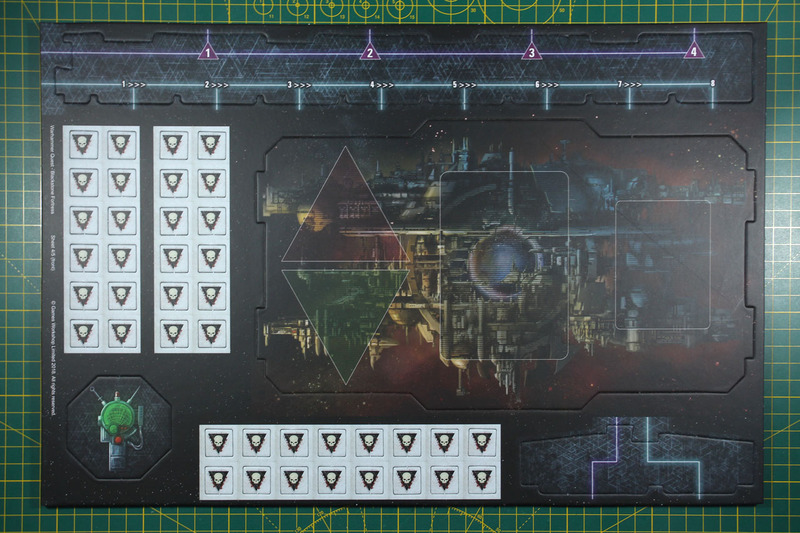 You have a precipice board, a battle order and line of sight marker, as well as a token for the leader showing an auspex. 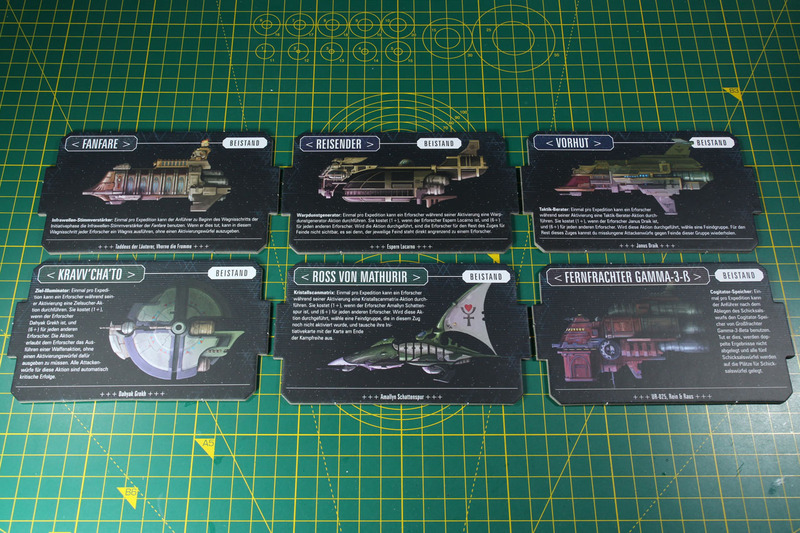 There are 6 different vessel cards for the different explorers as well, the Vanguard, Kravv'Cha'to, Long Hauler Gamma 3-ß, Steed of Mathurir, Clarion and Traveller. Each gives their passengers a special boni. 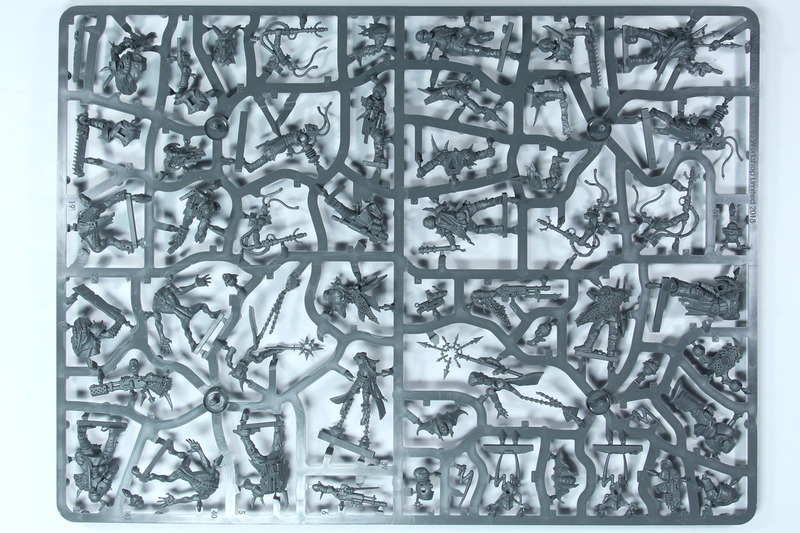 The 44 miniatures of this kit are spread across 3 red sprues for the explorers and 3 grey sprues, a single sprue for the Chaos Lord and two large grey sprues for the remaining foes of the Blackstone Fortress. 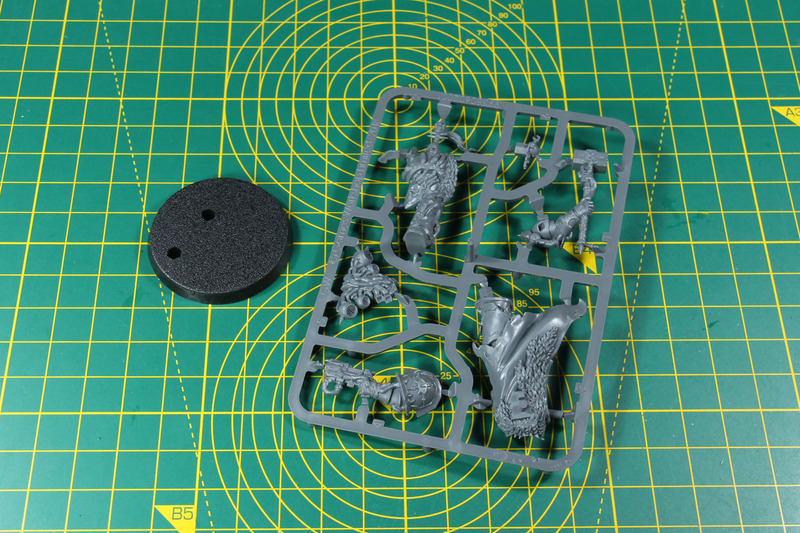 Casting is very well done, with a lot of detail and a low amount of mould lines. 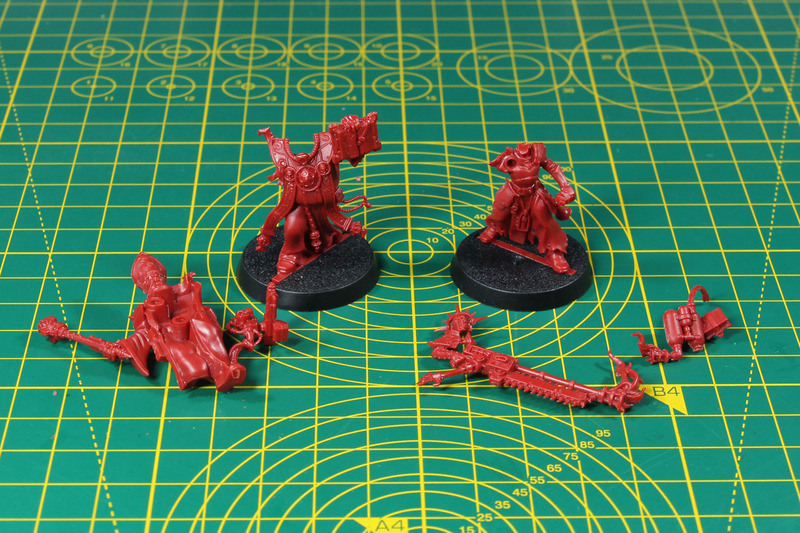 Yet, due to the complex and dynamic poses, removing those can be a bit time consuming, bit it is worth it. Let us start the assembly with the protagonists. 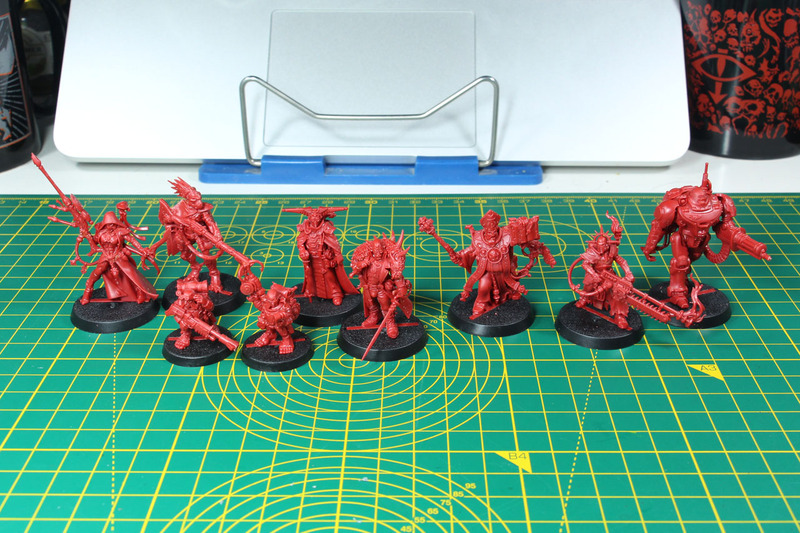 The explorers, there are 9 of them, all kept in dark red plastic. 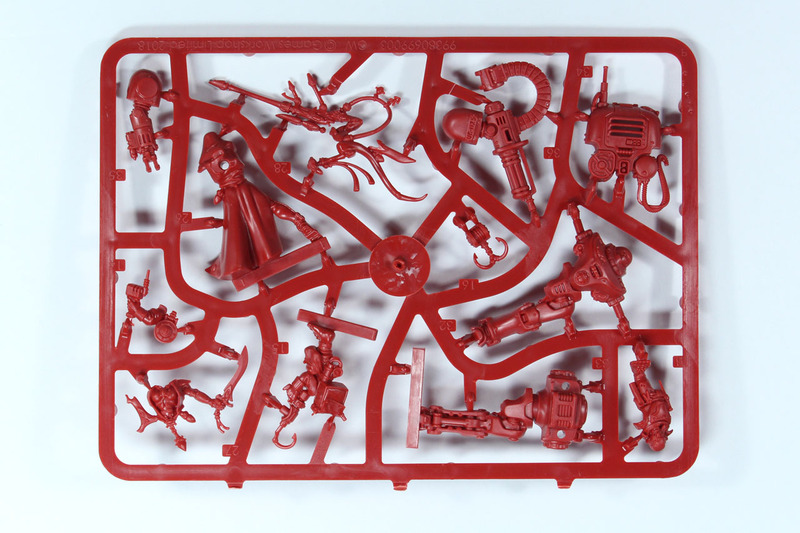 These are your player characters and you can choose from a very broad range across the Warhammer 40,000 universe. 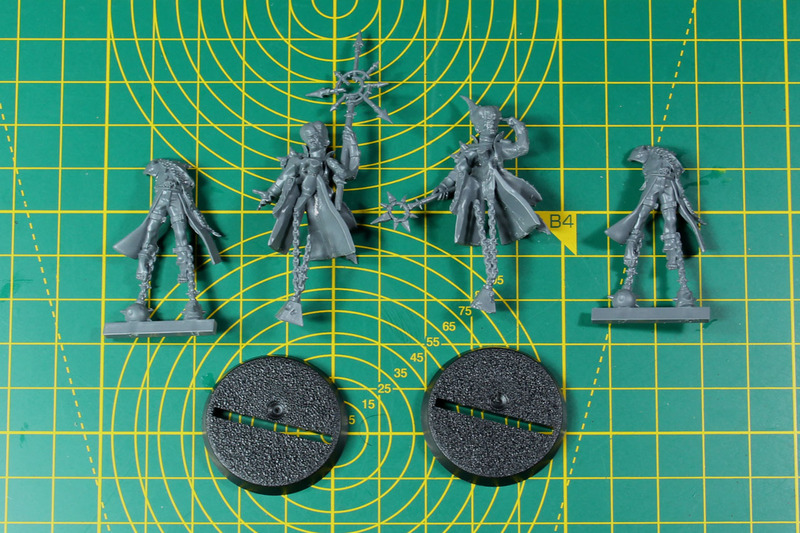 After Elucia Vhane a second Rogue Trader is introduced this year. Janus Draik, travelling on the Vanguard, is a pioneer and has a pretty solid stat-line. 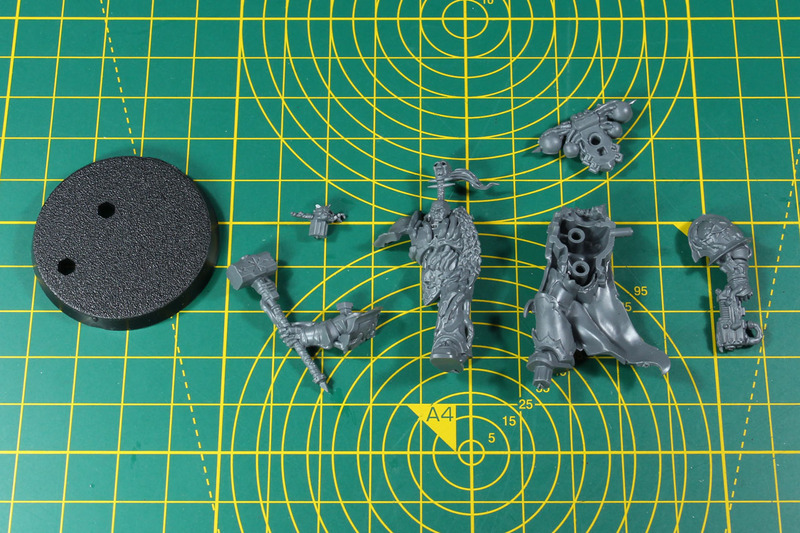 So for the first games it won't hurt to bring him onto the Blackstone Fortress. 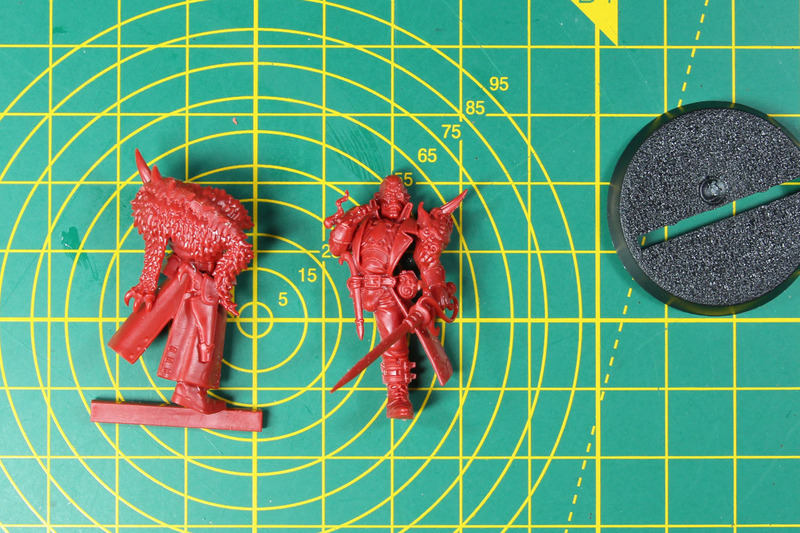 Armed with a rapier sword and a fancy, alien (possibly Dark Eldar) pistol, the exotic taste does not stop there and continues in the rather unusual choice of a fur collar. Real fans of the deep lore will recognise Espern Locarno, the Imperial Navigator, from the vessel Traveller. His artwork comes from no other than John Blanche, and his name affiliates him to one of the oldest navigator houses of the Empire, House Locarno. 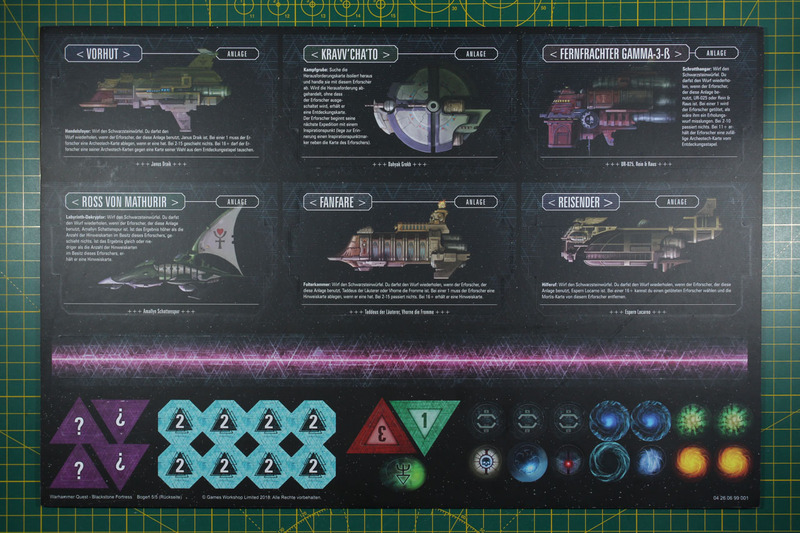 House Locarno was mentioned in the old Rogue Trader rulebook, the first set of rules covering the Warhammer 40,000 universe. Espern is more of a support character, so best be used in combination with a more combat-able explorer. 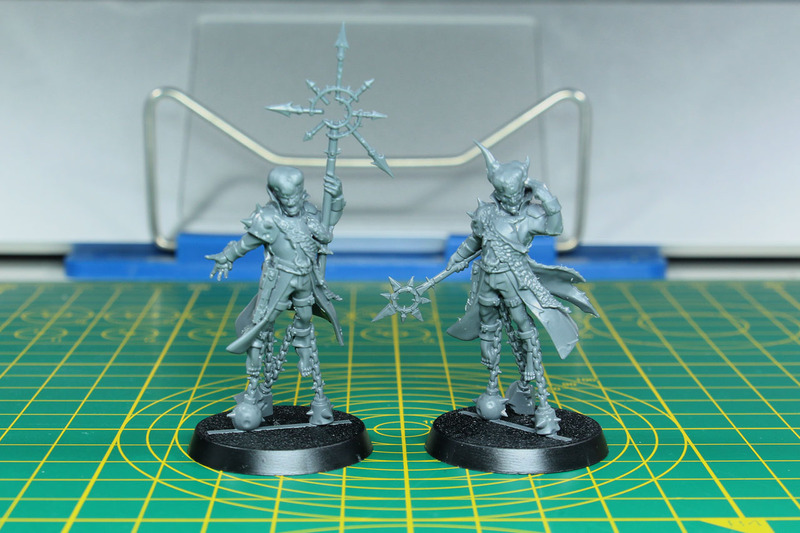 A duo but two individual characters are Taddeus the Purifier and Pious Vorne, Ministorum Priest and Zealot. He bears a resemblance to Kyrinov. They travel with the help of their space ship Clarion. Due to their weaponry they are more of a close combat duo and Taddeus even has the ability to heal. The design of Pious Vorne was inspired by artwork by John Blanche and can be seen in the Dark Millennium card deck. 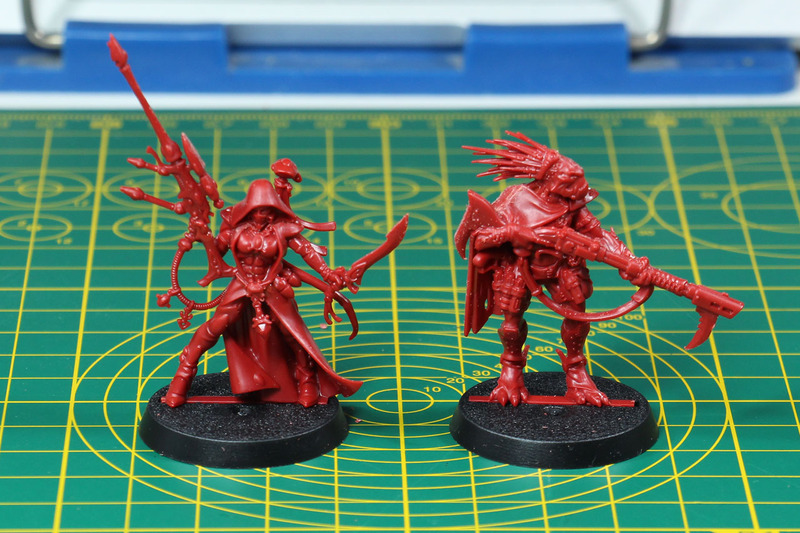 The two xenos of the exploration force are the Asuryani Ranger Amallyn Shadowguide and Dahyak Grek Kroot Tracker. 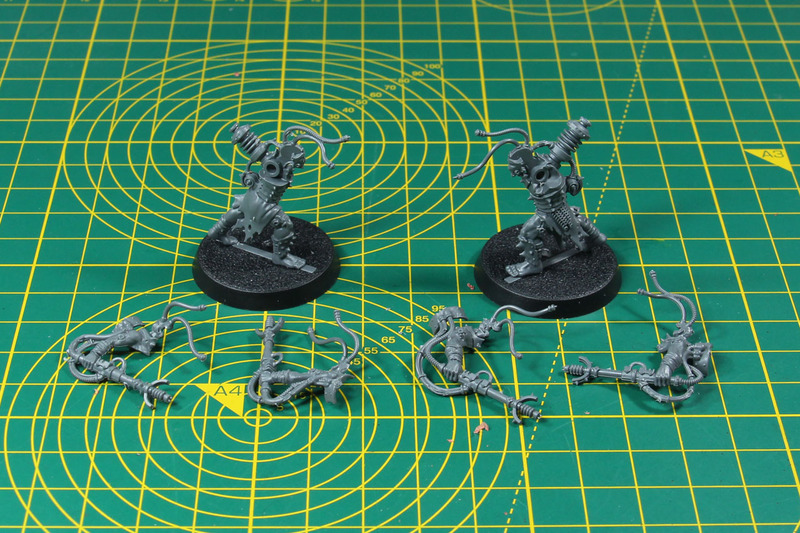 Each with their own space ship, the Kravv'cha'to, a Kroot vessel, and the noble Eldar ship Steed of Mathurir. Both are able to deal damage over range and are more complex to play. 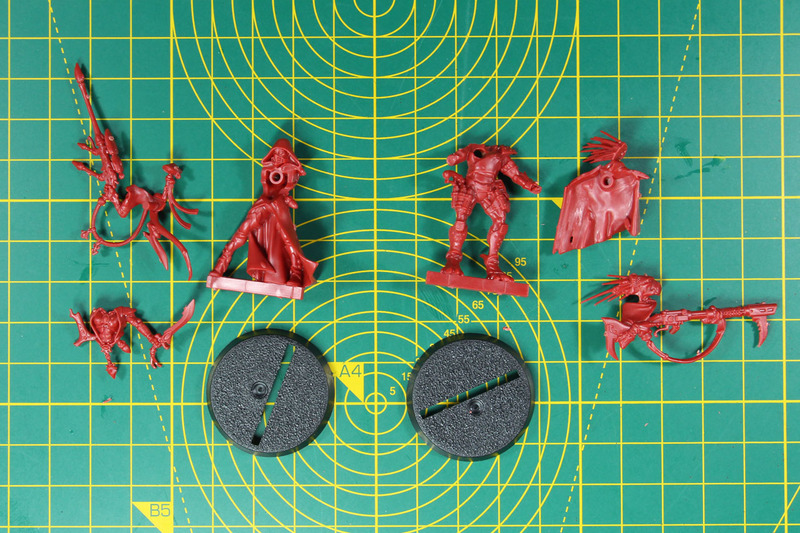 The Ranger has the ability to teleport herself by using the rare phase crystal and the Tracker receives boni on gathering inspiration tokens by devouring his enemies, as it fits the background of the Kroot. 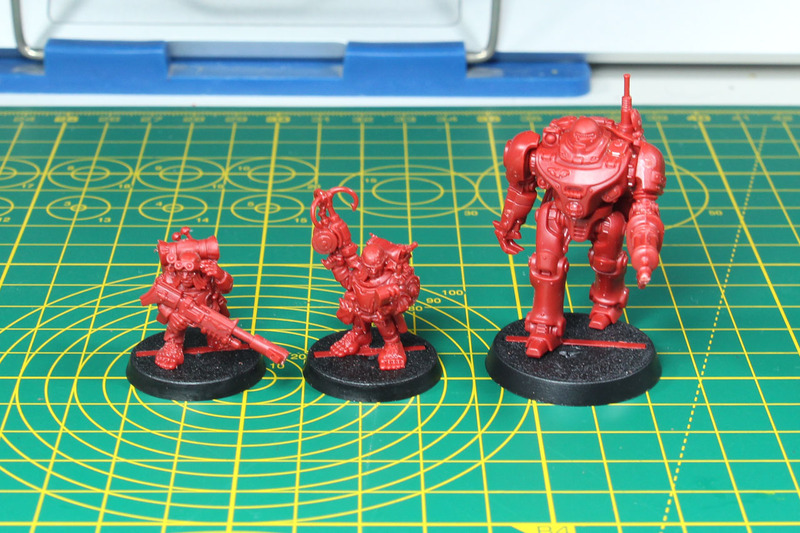 Boarding the Blackstone Fortress by the Long Hauler Gamma 3-ß, the Ratling Twins Rein & Raus and Imperial Robot UR-025. 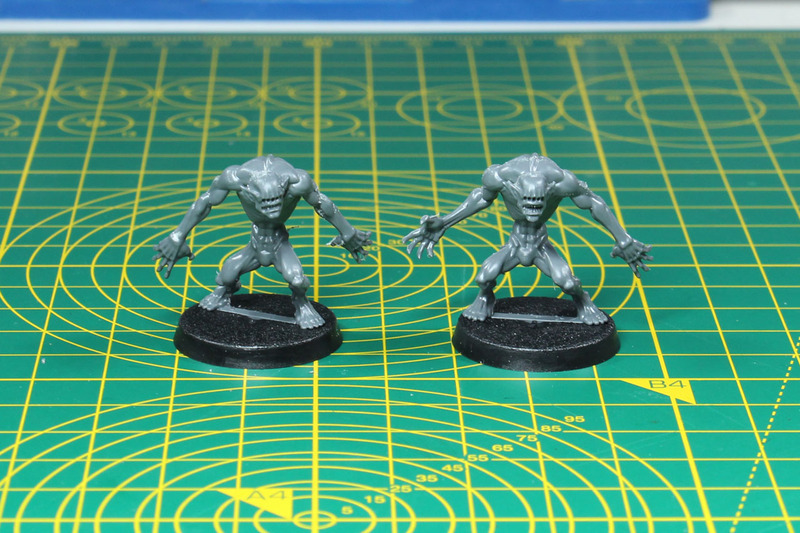 The ratling twins count as one character, using two miniatures. 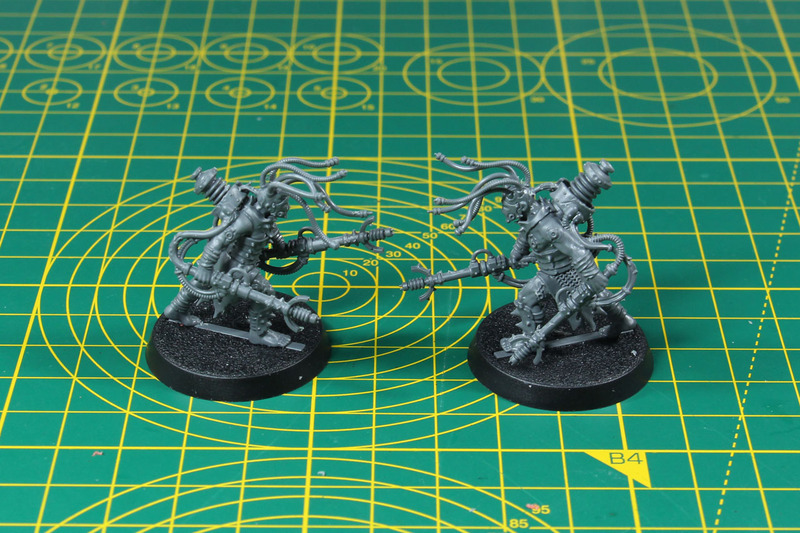 Better armoured than the ratling scouts from the Imperial Guard, they can both be activated in the same turn and interact with each other. As for UR-025, there are rumours he is one of the Men of Iron, and the character is a tank compared to the others. So if you're looking for someone to take a lot of damage, especially if the other explorers the players choose are more fragile, this is the most useful addition to the crew. And the lot of explorers in a group shot. 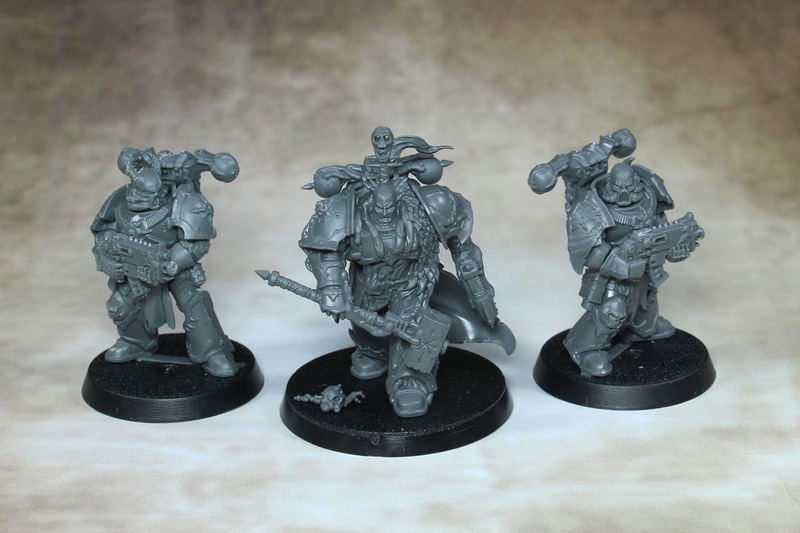 As for the counterparts of the explorers, they are led by the Chaos Lord Obsidus Mallex. 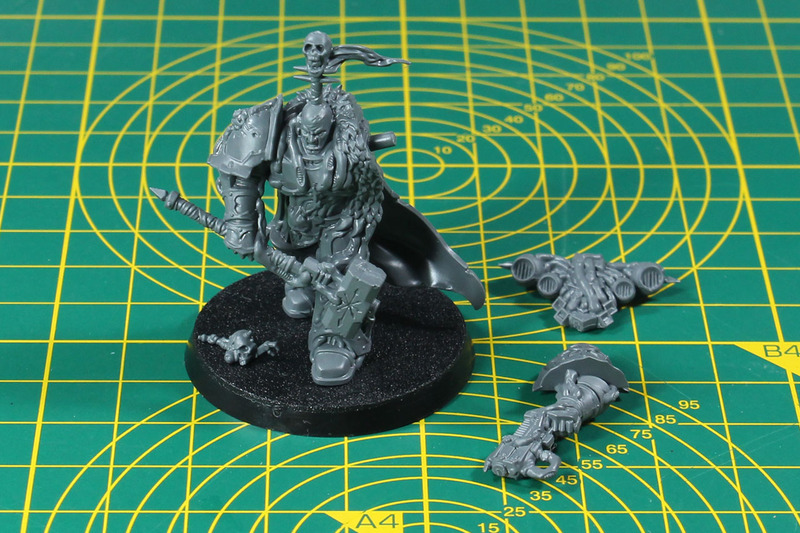 A Chaos Space Marine from the Black Legion, the chapter that Abaddon led. Maybe that is the reason for the top knot hair style. And he bears worm-shaped mutations all over his armour. 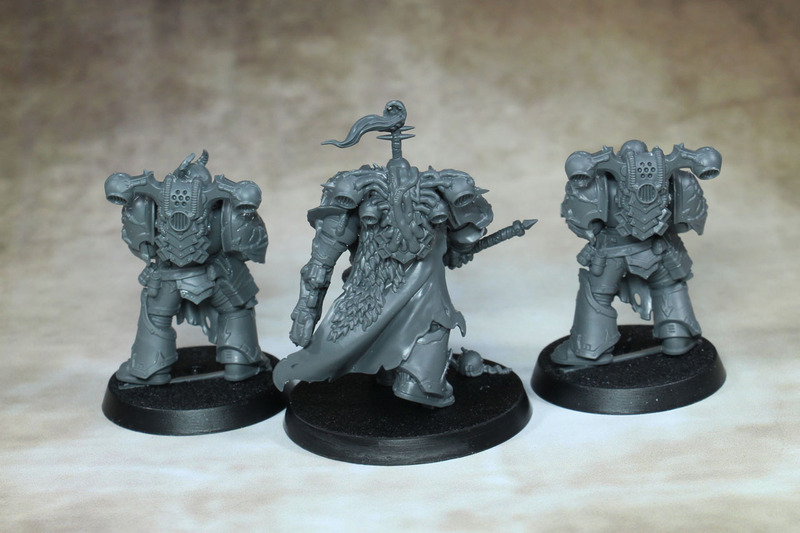 As a kind of veteran enemy class, there are two Chaos Space Marines with Blackstone Fortress. 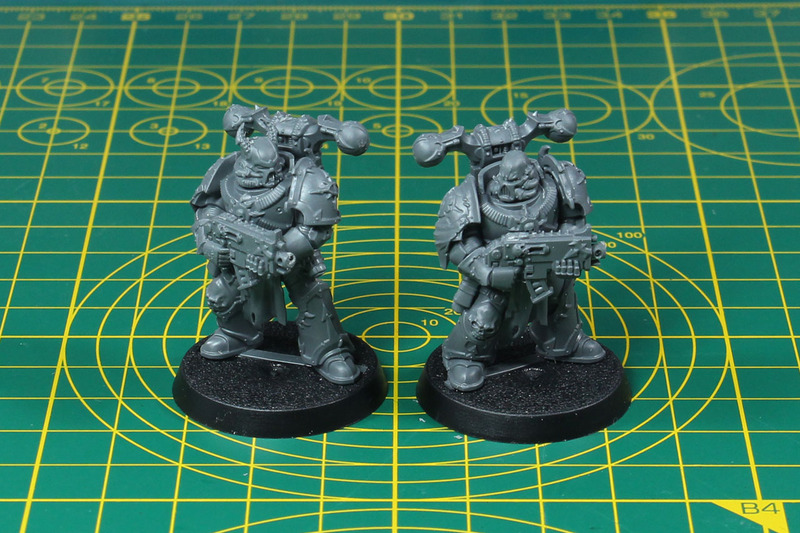 From the chapter of the Black Legion as well and identical beside the heads. The helmet variations are included two times, so you have a spare of each after assembling them. 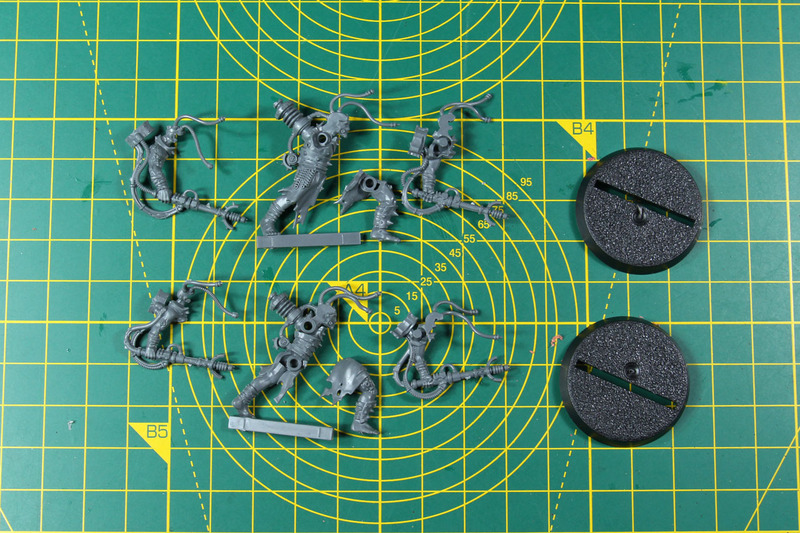 Quite clever models are the Rogue Psykers. 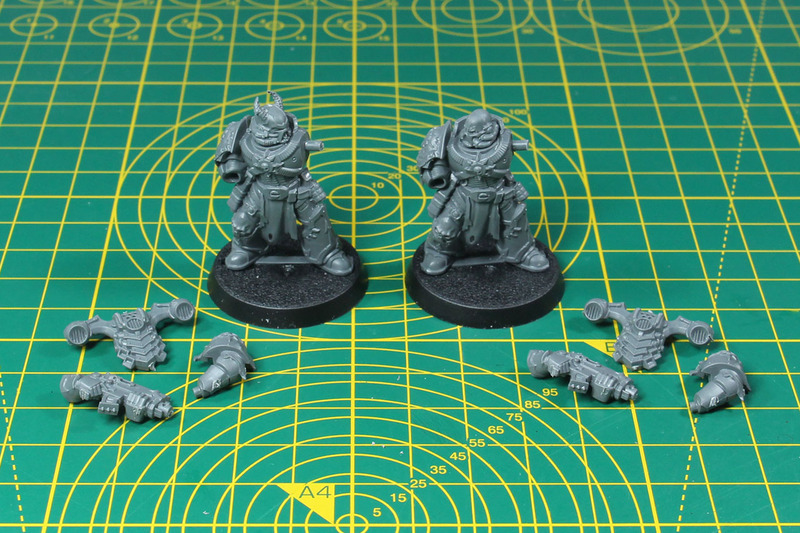 Beside the head and arms both models are identical and swapping these makes quite the different. If you vary the colours as well, you can make them even look more different from each other. 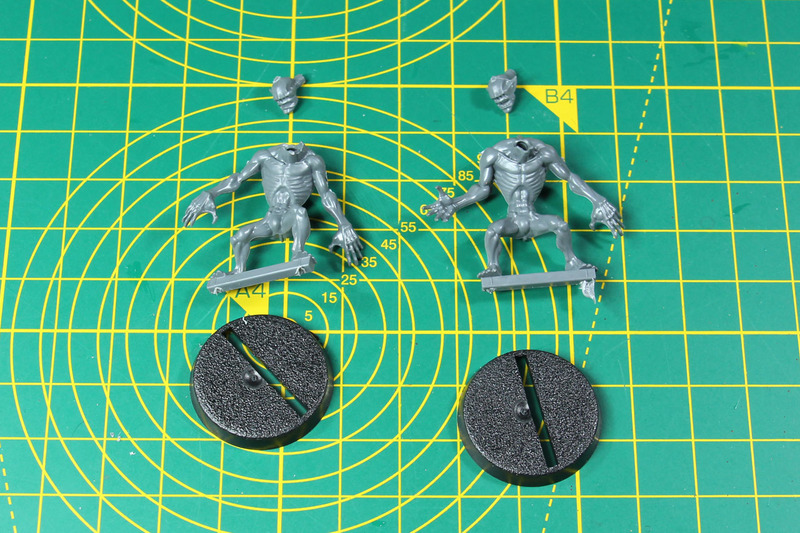 You have an upper body of each spare after the assembly. 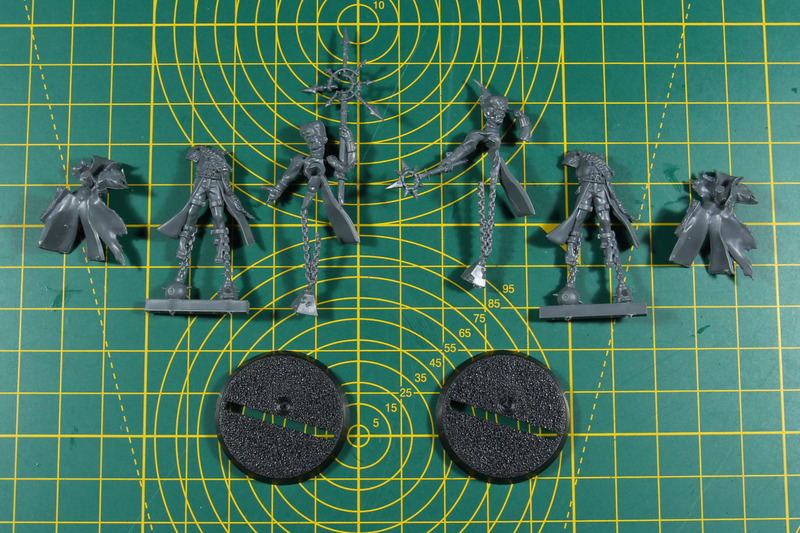 Maybe keep that bit, in case you want to kit bash one of the new Delaque Spykers. 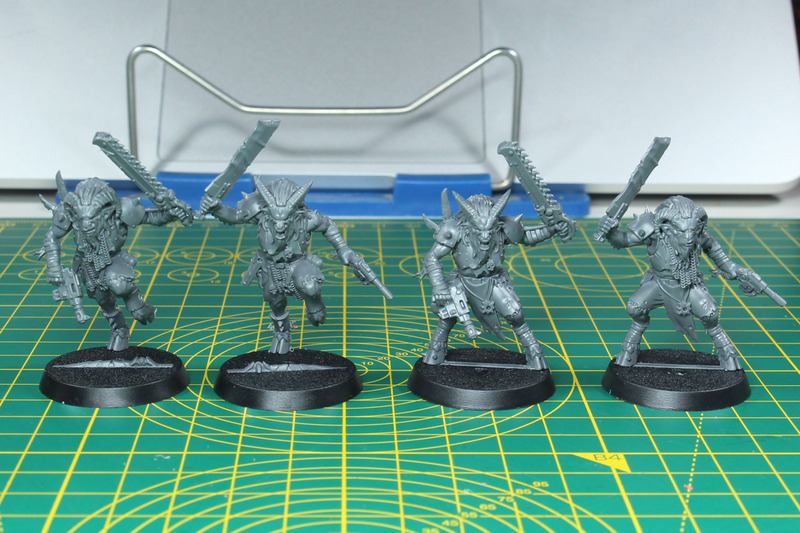 One of the most complex A-B variations are the 4 Chaos Beastmen. 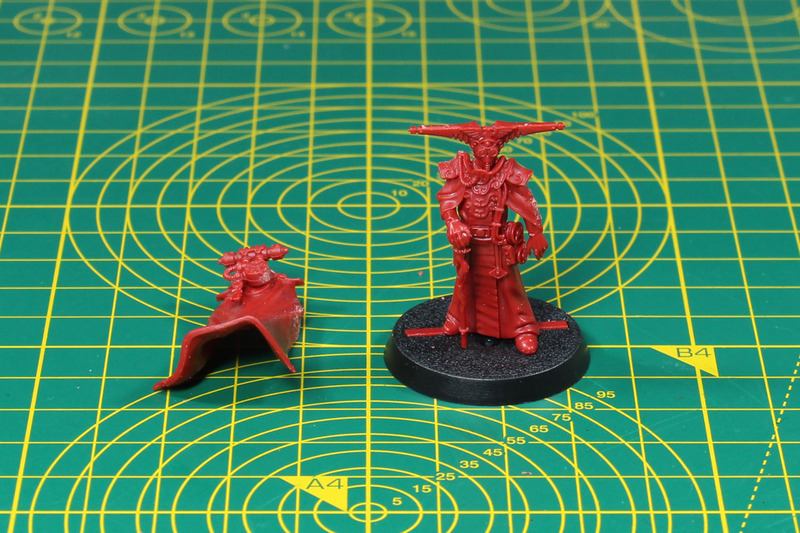 Basically these are two different miniatures, but due to the way they are cut, the legs, the upper body and face can be mixed and you can create a couple of different poses from the identical parts. 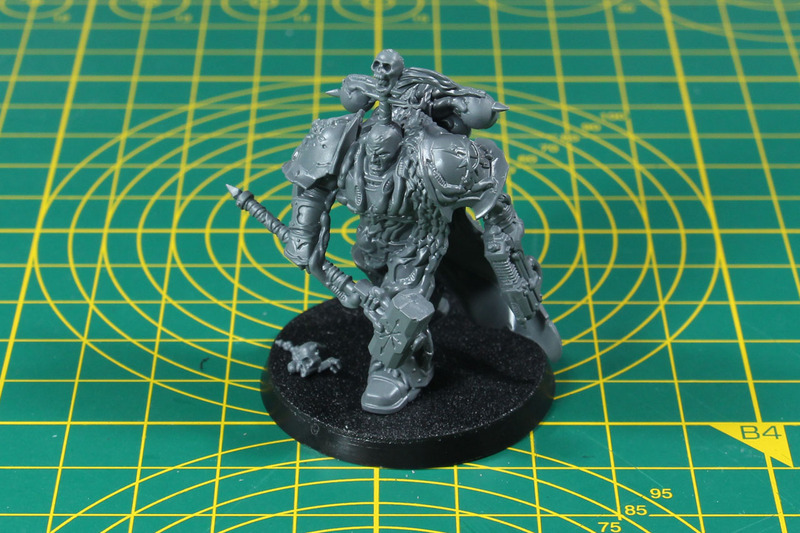 Good to see the renegade beastman return, as they were part of the old Rogue Trader range and got a nod by the Necromunda Mercenary Gor Halfhorn. 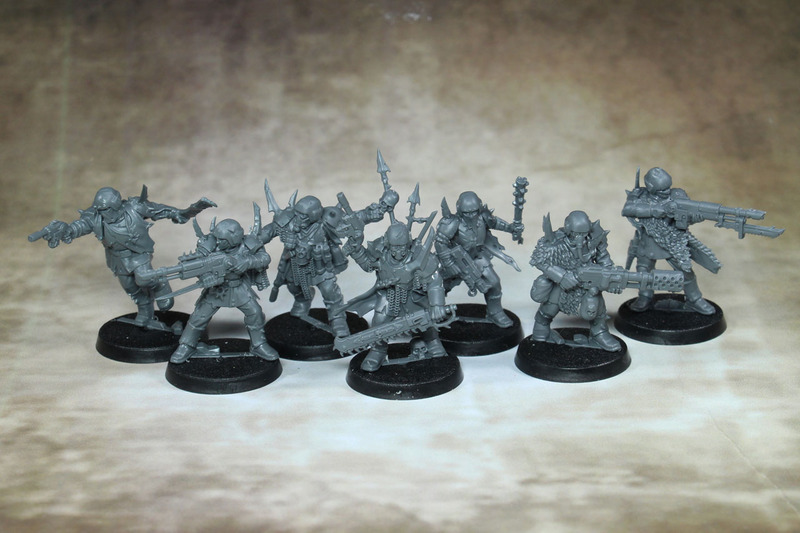 There are two identical sets of 7 Traitor Guardsmen. 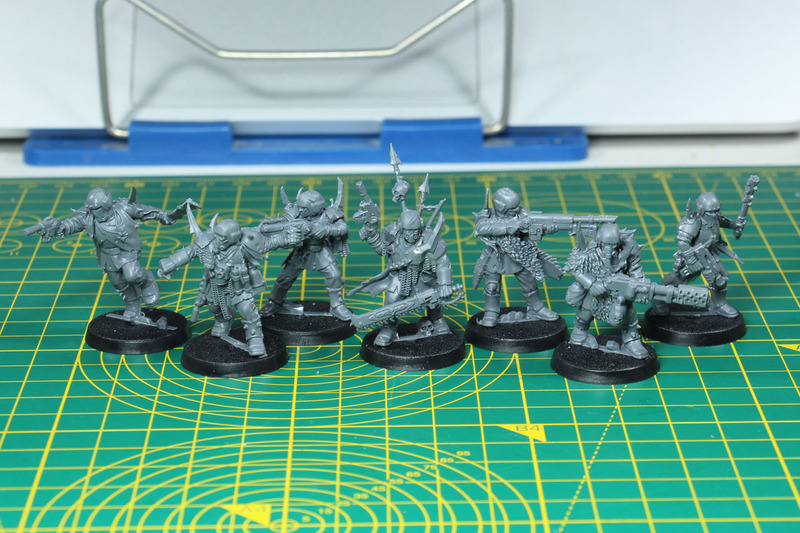 These are a bit more slender than the old Cadian Guardsmen and some of the weaponry and the proportion of the bodies resemble the design of the Necromunda Escher. 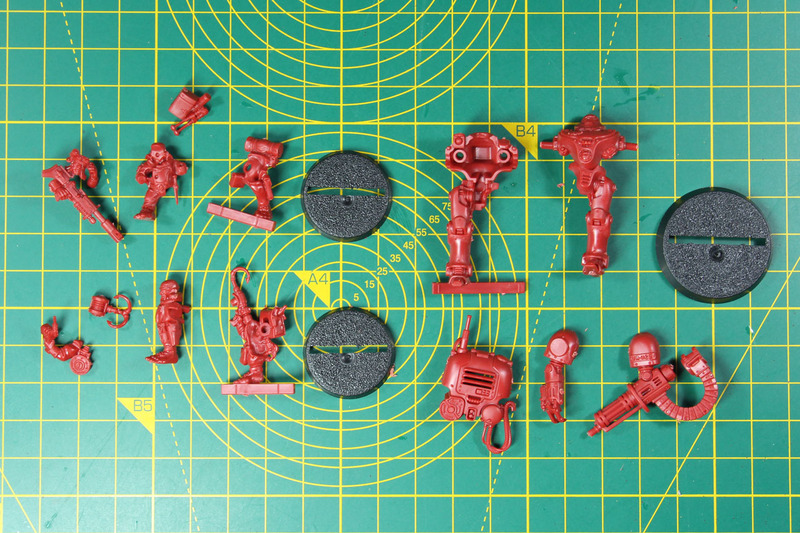 You can easily convert the second set by mixing up some of the weaponry within the set, so to minimize the doubles. I'll cover that in an upcoming article. 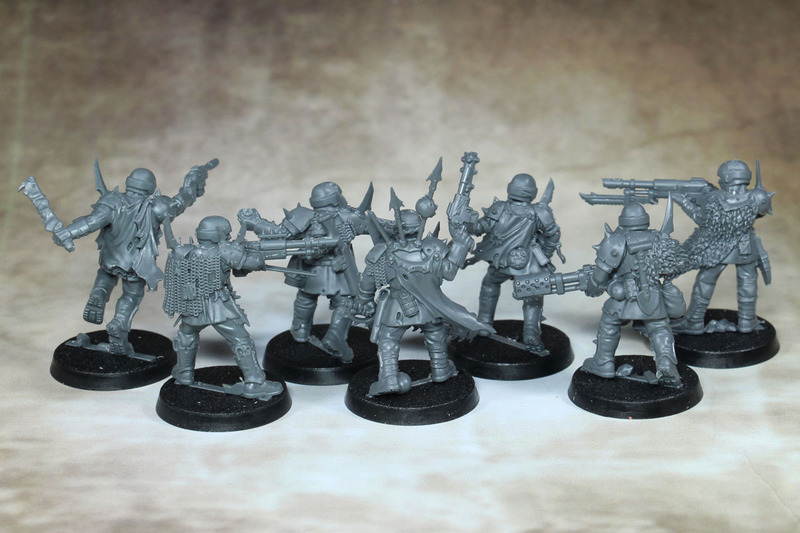 Besides that, I hope to see more traitor guardsmen, as they are a great design, much more current in the way they look and are not just converted Cadians. 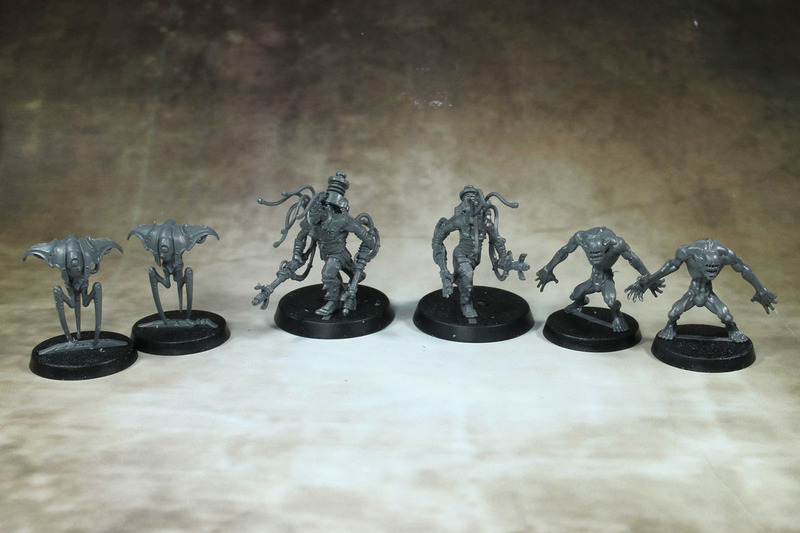 Then there are "affiliates" of the dark forces, like the Negavolt Cultists. 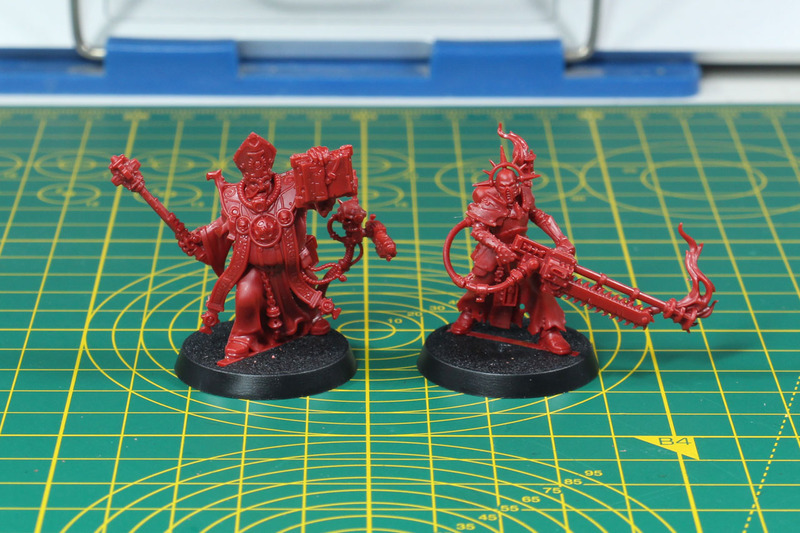 They belong to the Heretek or Dark Mechanicus if you will. 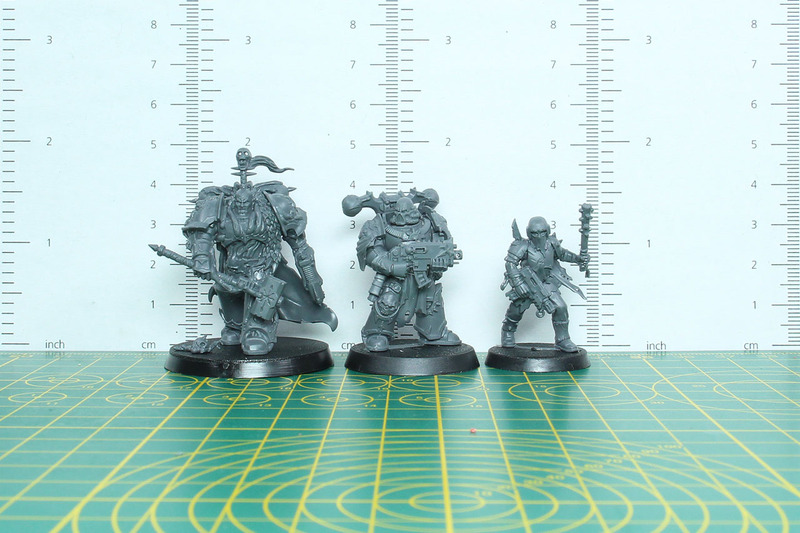 There are a total of 4 miniatures, two identical sets of two very similar miniatures. 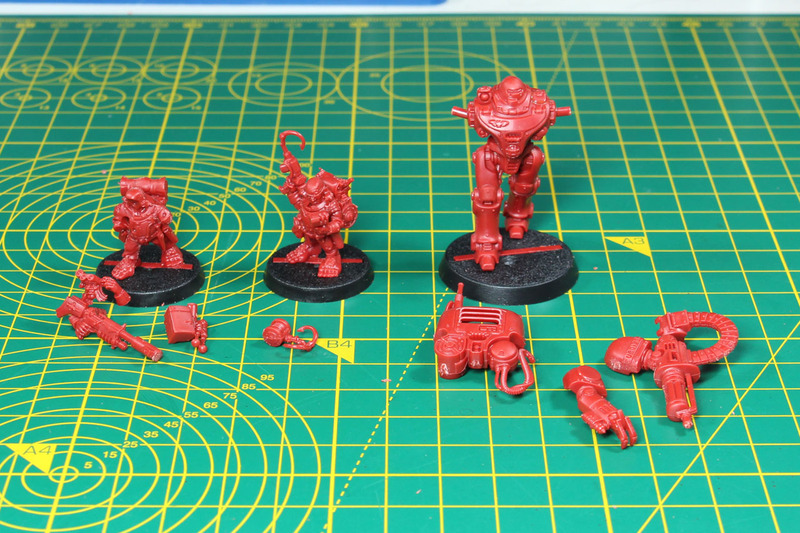 If you mix the weaponry with some left over bits from the Skitarii or Elektro Priest, you could upgrade the looks of them by quite a bit. 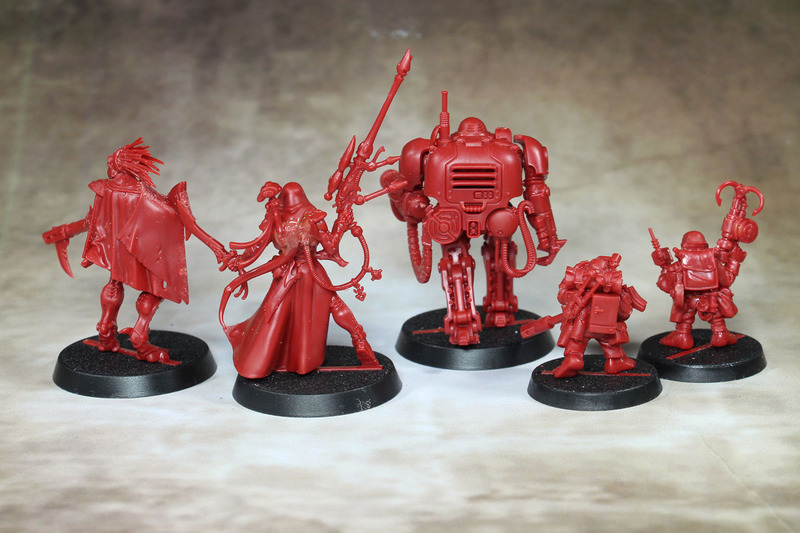 Other than that, a great idea for some more fallen Mechanicus models. 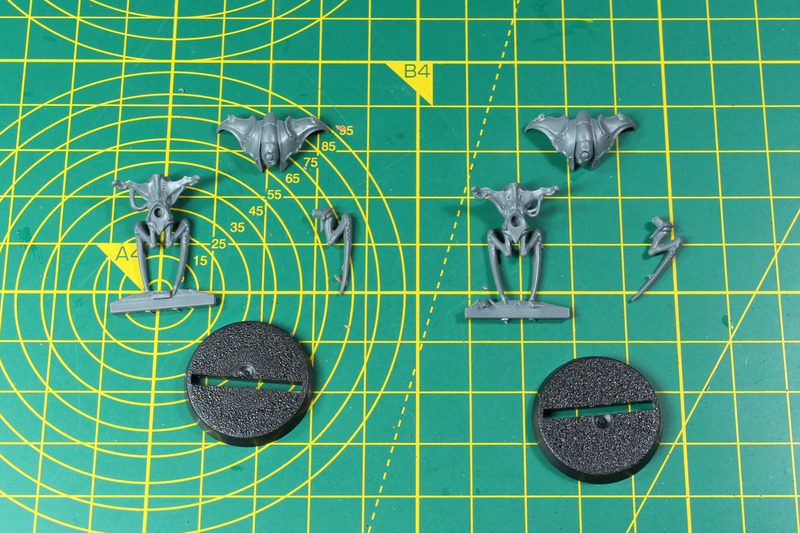 The four Spindle Drones (two sets of the miniatures shown below) belong to the defence mechanism of the Blackstone Fortress. 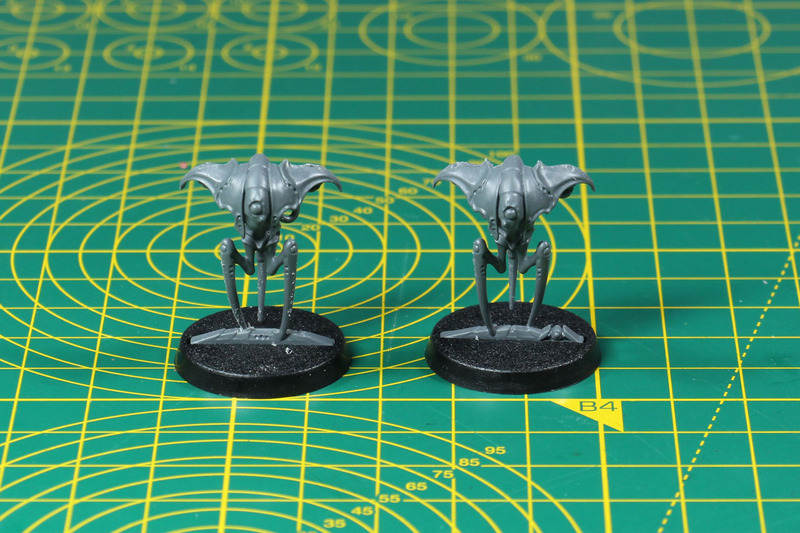 Alien robotic tripods that guard the labyrinth and secrets. 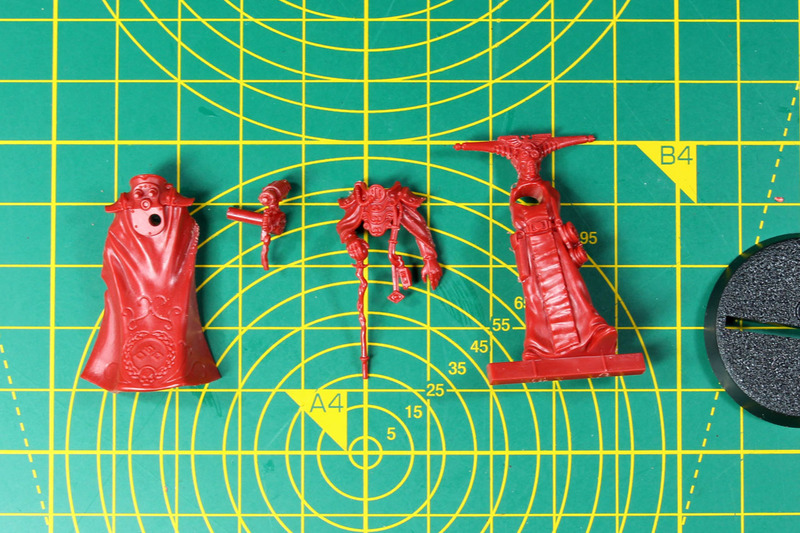 As for the Ur-Ghuls, they are already part of the Warhammer 40,000 lore, as a unit choice of the Dark Eldar Archon court and so far there is only one miniature of them. 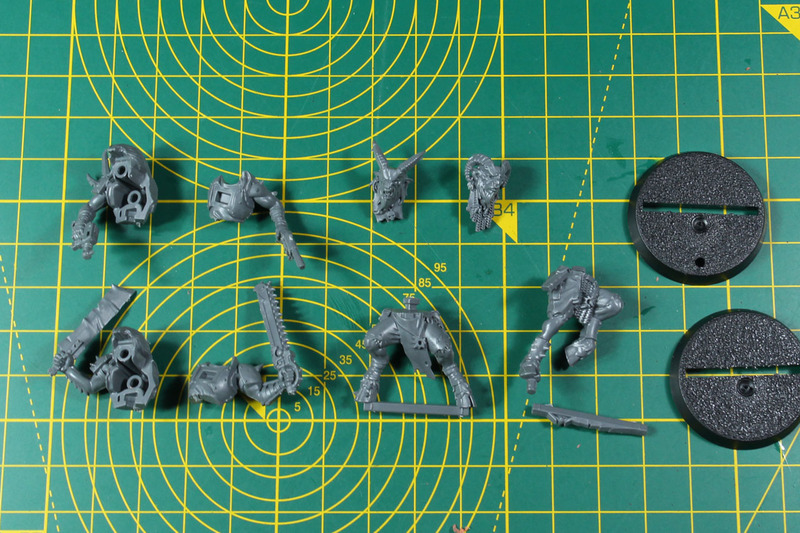 With this boxed set, you receive four Ur-Ghuls (two sets of the miniatures shown below). Everything you see in the picture below is included two times in this set. 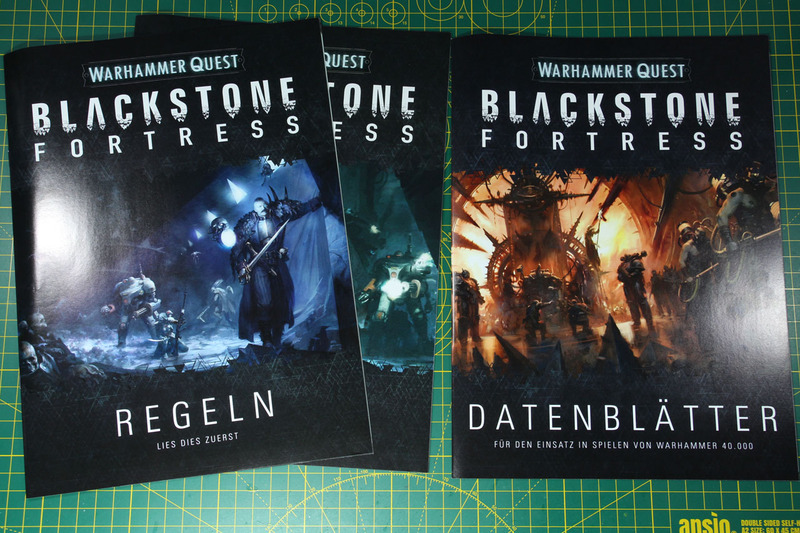 How plays Warhammer Quest Blackstone Fortress? 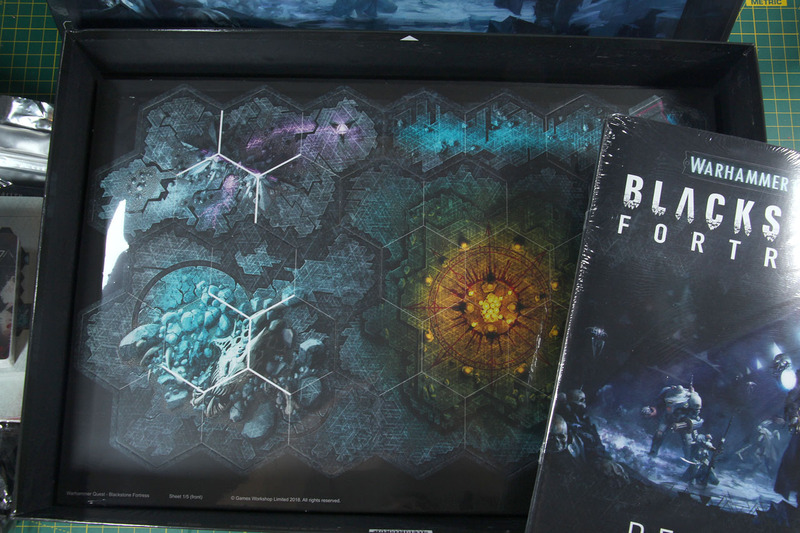 Blackstone Fortress can be played by a group of 1 to 5 players. 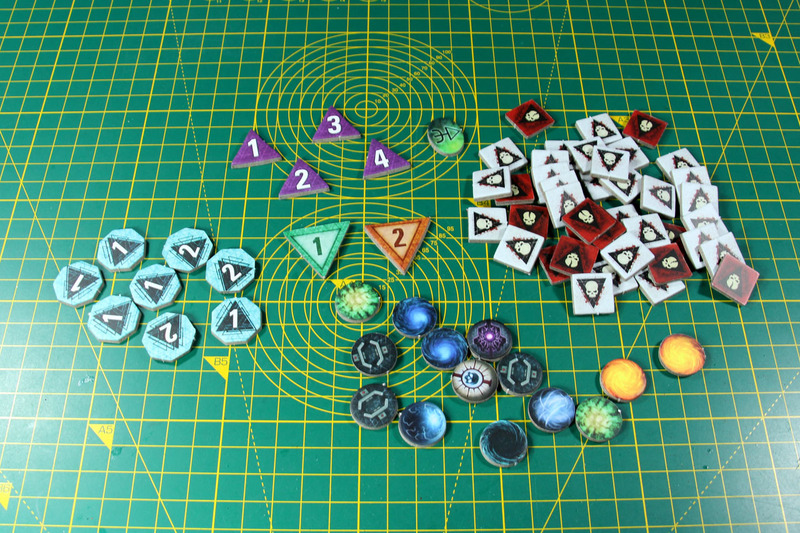 Whereas up to four players will play cooperative against the board and if there is a fifth player, he or she will take the role of the game master and control the hostile miniatures. 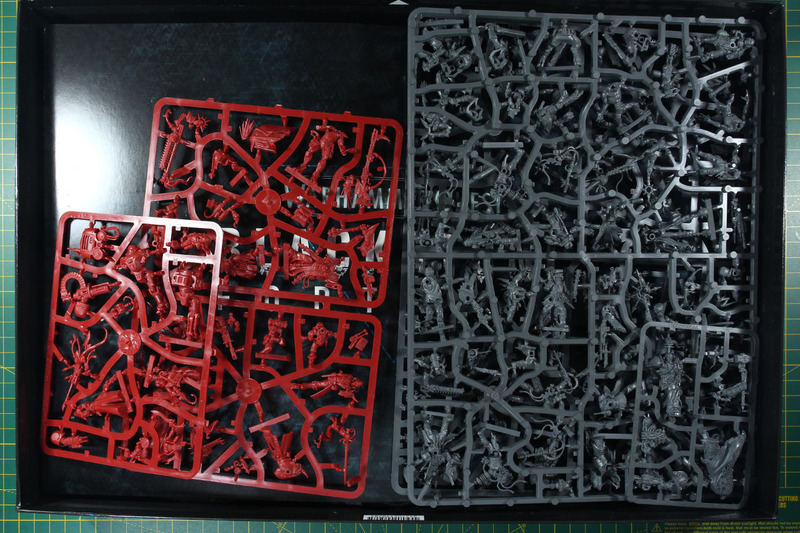 Similar to other dungeon crawlers and game with modular tiles, you will need quite a bit of space to place all the game materials. So keep that in mind beforehand and choose maybe the dining table or a larger kitchen table, instead of a 3x3 surface, to avoid cramping or an intermitted play. Keep in mind, the characters are not a group of noble knights on a quest, but a rag-tag entourage, each with their own personal agenda and definition of success and glory. 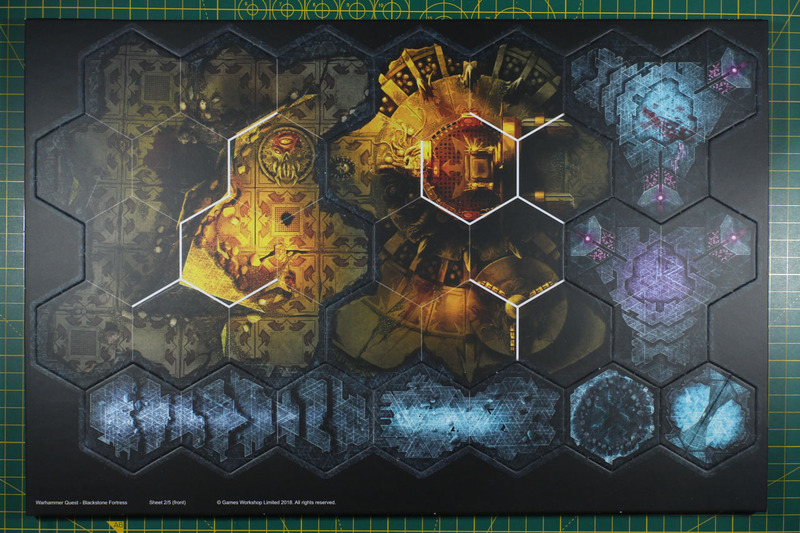 But unified under the operative to look for the hidden vault in the Blackstone Fortress, and the treasures and secrets it may contain. And interesting part is, that the game itself is not a single session game, but split into expeditions and you have to play these missions to gain the knowledge of the location of the hidden vault. There are optional rules for experience, to show the progress of the expedition. I like the fact, that they added the bags not just for storing the tokens, but keeping the current status of the explorers. Calling them stasis chambers, a "fluffy" way to embed that idea into the game. These can not only be used to store the process between the games but between sessions, in case you have to take a break or a running match went beyond the planned timeframe. I won't get into the mechanics of the game itself, as those are best explained in the how to play or one of the other Let's play's found online. 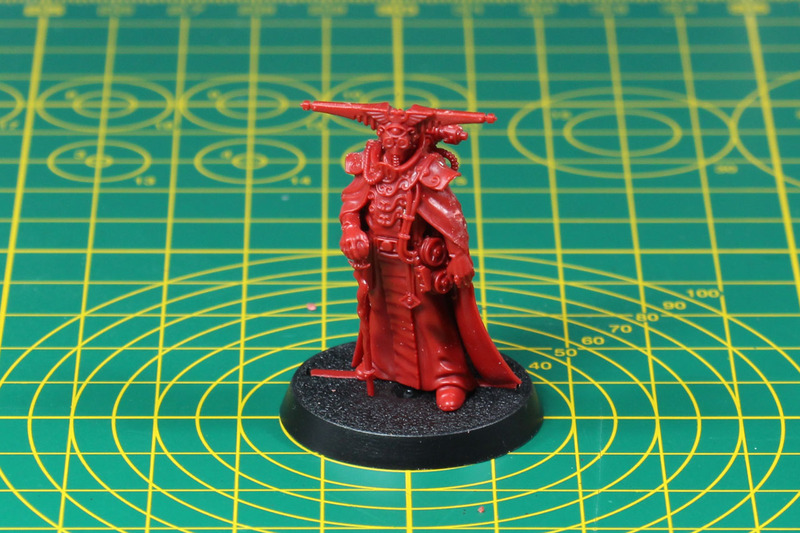 Within the Warhammer Community blog posts and some of the twitch streams of WarhammerTV they talked about a couple of things. 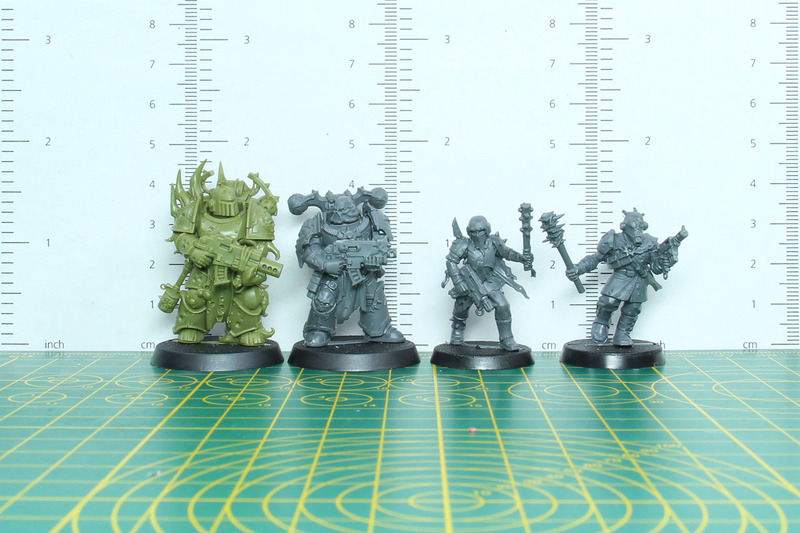 For example it is assured, that there will be Kill Team profiles for the units from Blackstone Fortress. 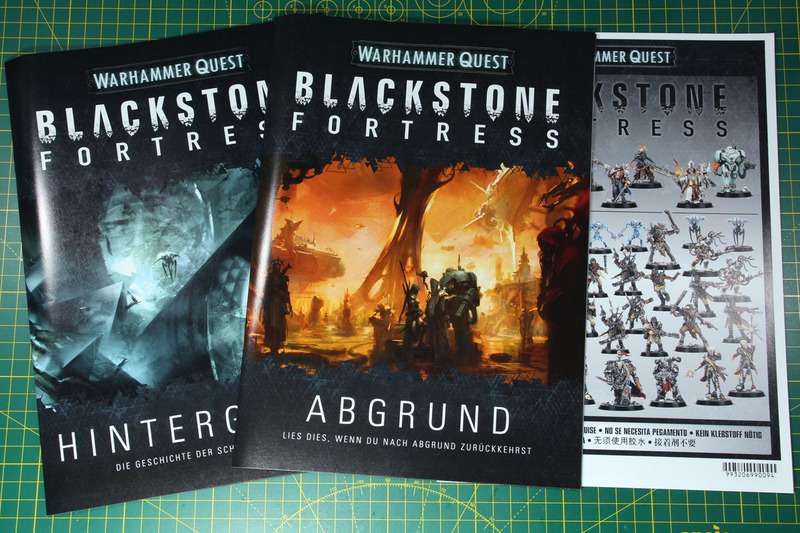 There will be expansions for Blackstone Fortress, it is mentioned in the rule book on page 13, leading your (or a new?) group onto new quests. We didn't get any details on that, just the fact, that there are supplements and further products planned. 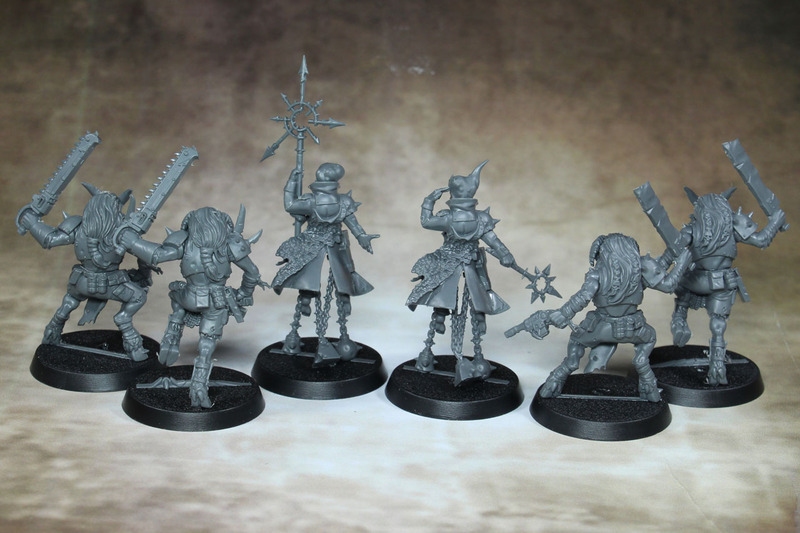 With Warhammer Quest there were the main releases of Silver Tower in 2016 and Shadows over Hammerhal in 2017, along with some smaller boxes covering heroes or cards to include units from the regular Age of Sigmar range within the dungeon crawler setting. 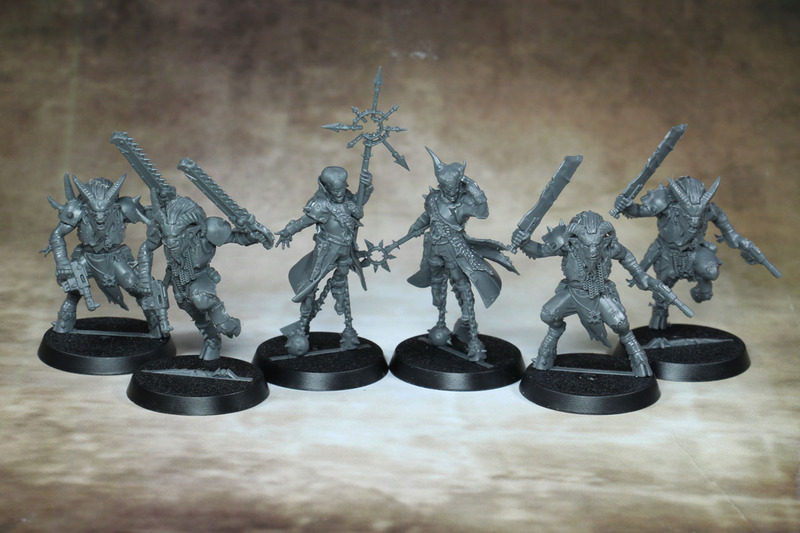 I could imagine, that we'll see the Elucidian Starstriders from Rogue Trader as a single box, similar to the Deatchwatch Kill Team Cassius, and rules to use them with Blackstone Fortress maybe as a White Dwarf addition. 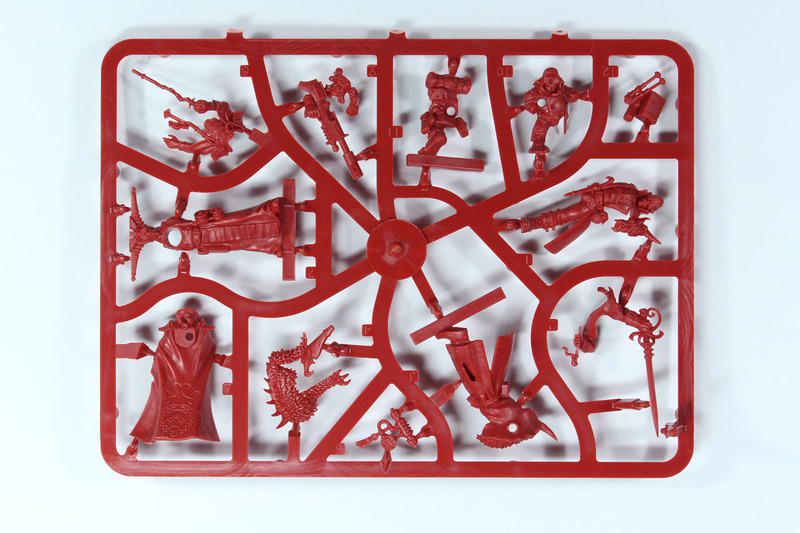 A hero box, similar to the Arcane Heroes set is likely. 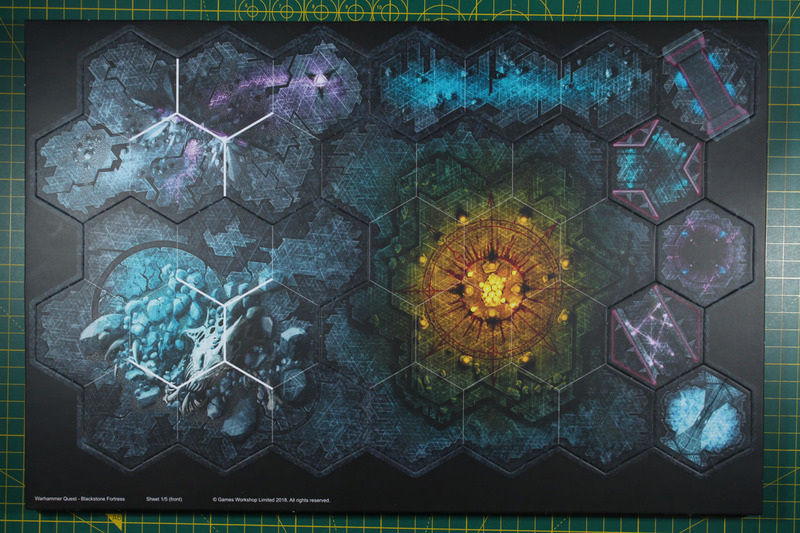 But further larger boxed sets, including new tiles and such for the next year would be very reasonable as well. 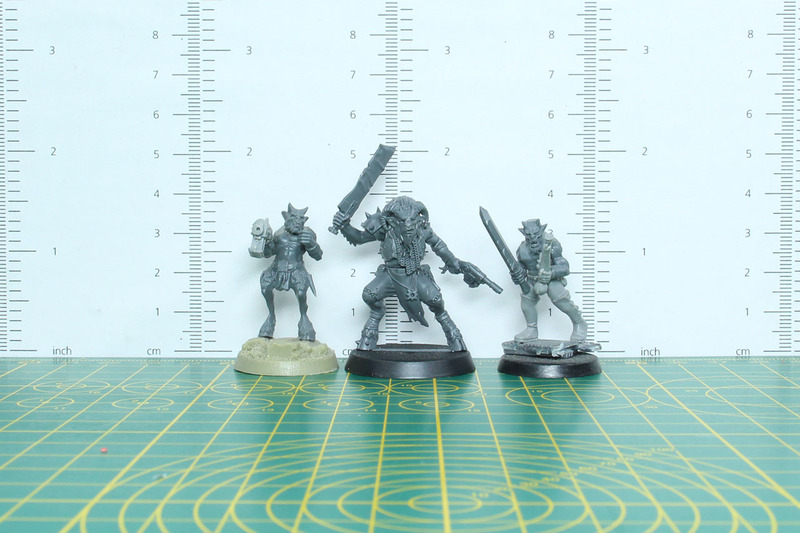 In case of smaller supplements and further material, it makes sense to keep an eye on the White Dwarfs published in the coming months, as Games Workshop supported quite a couple of "side" games with additional material, like Dark Elves for Blitz Bowl. 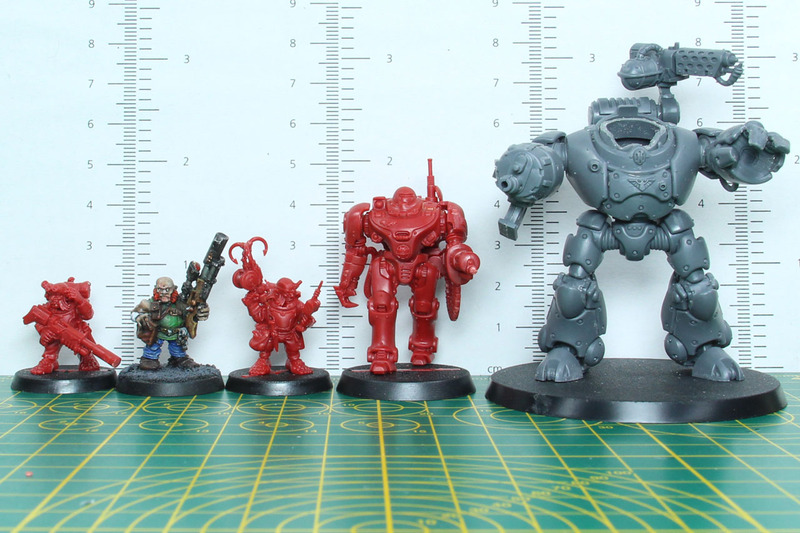 The miniatures fit very well with the existing range of miniatures. They have become slightly larger, but it depends on what you take as comparison. Do not forget, some of these are 10-15+ years old and from the early 2000's. 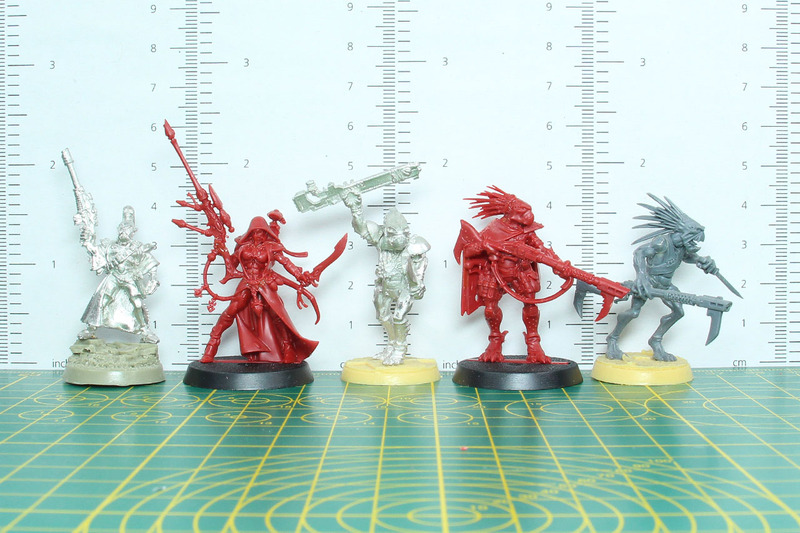 And of as usual, the shots of the assembled miniatures. 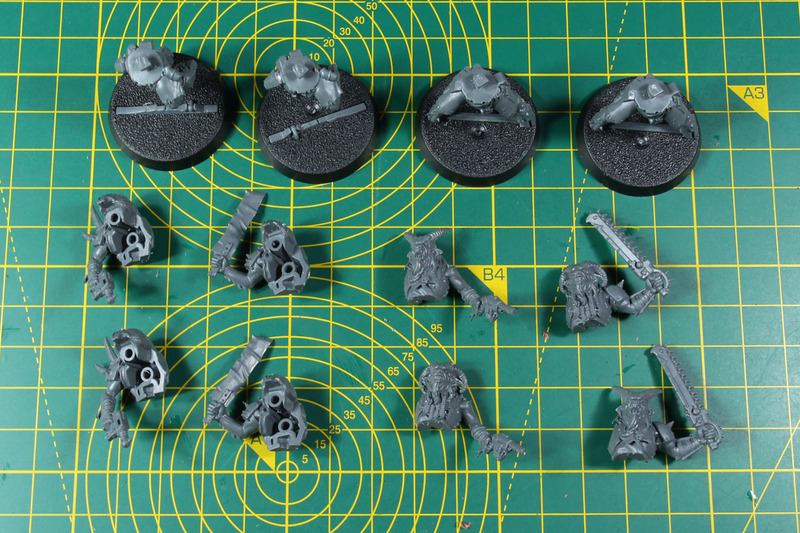 Please not that you receive twice the amount of Traitor Guardsmen, Spindle Drones, Ur-Ghuls and Negavolt Cultists shown. I am very pleased with this game. 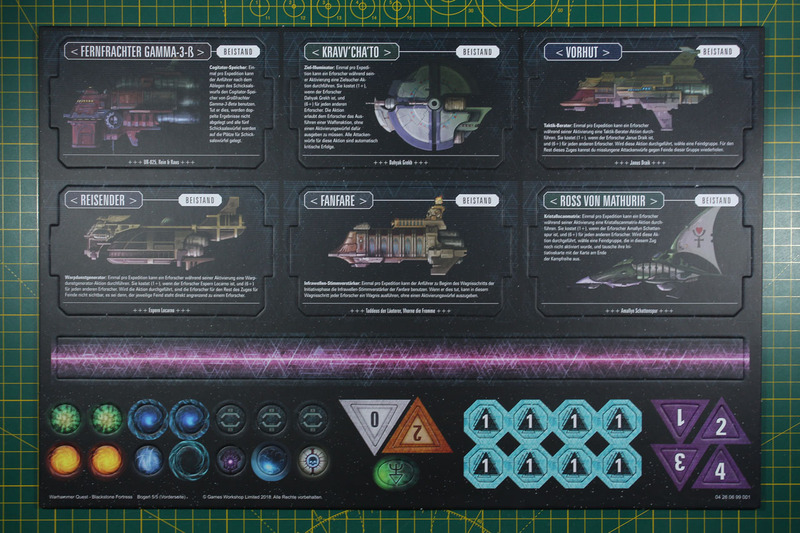 From a gaming point of view, you get a more than proper set of rules for a board game. 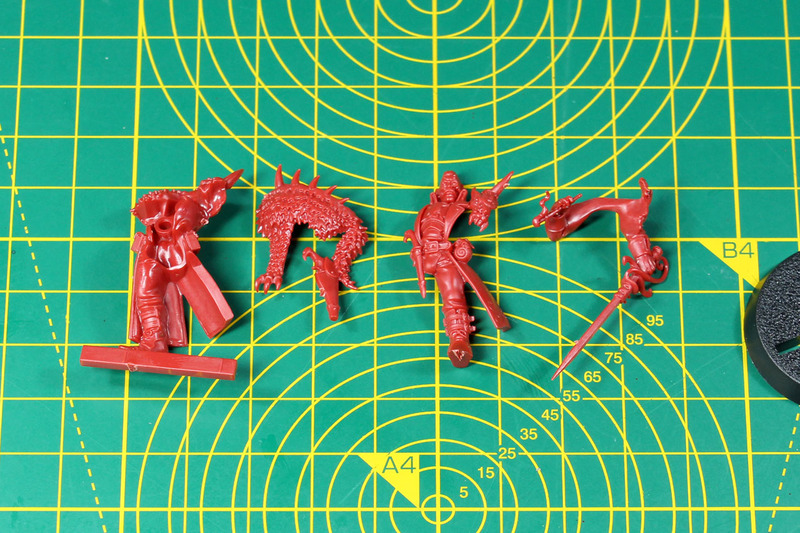 But with "real" wargaming miniatures, made from hard plastic and not some bendy rubber. 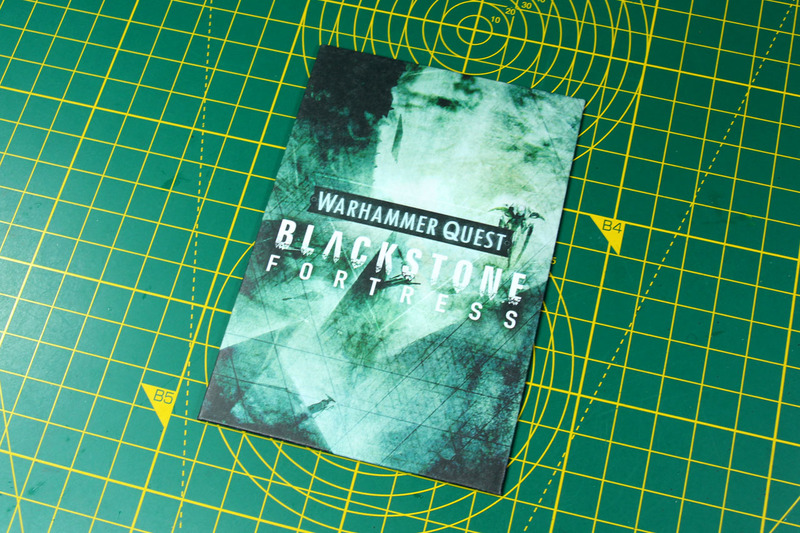 If you are into Inq28 or narrative gaming in rule sets like Necromunda, Blackstone Fortress is a goldmine. The explorers are very colourful, very diverse. 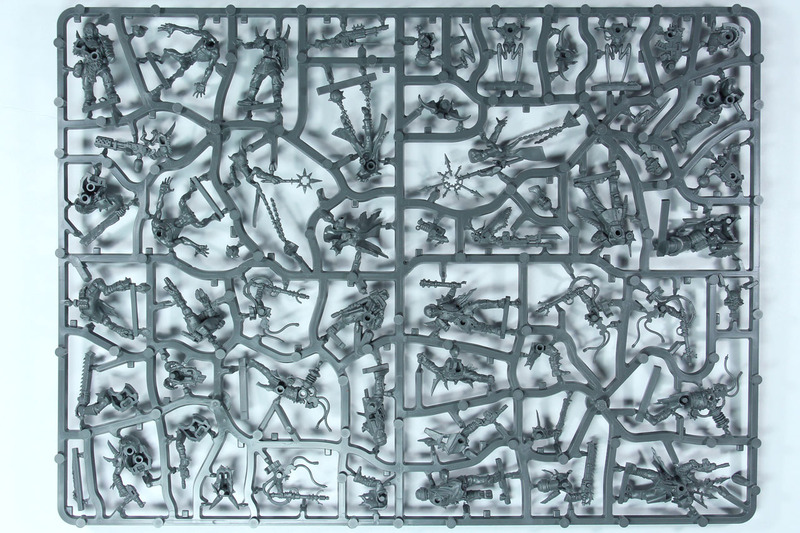 The chaos part of the box is a small battle force of itself and I can see that many will buy this box just for a small 40k Chaos army or Kill Team (we finally get proper Traitor Guardsmen, without the need to convert the plastic Cadians that meanwhile got a bit old...). 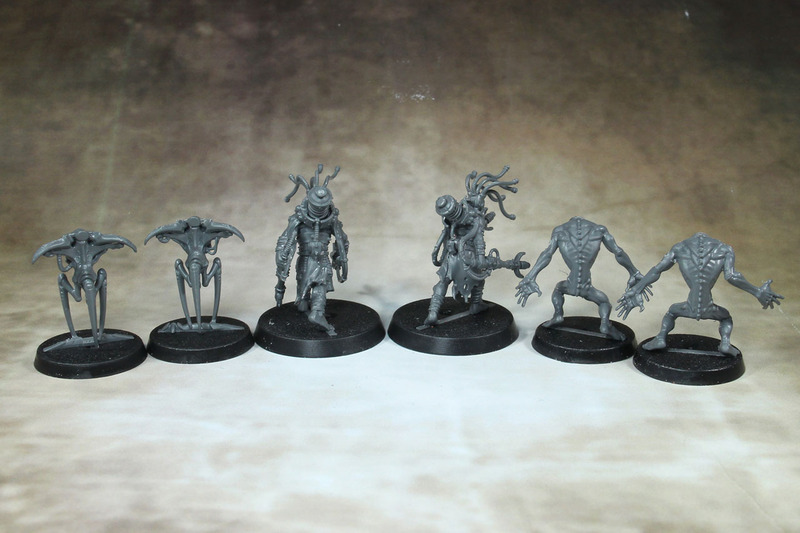 125 EUR is an appropriate price for this boxed set. It is not cheap, but reasonable. 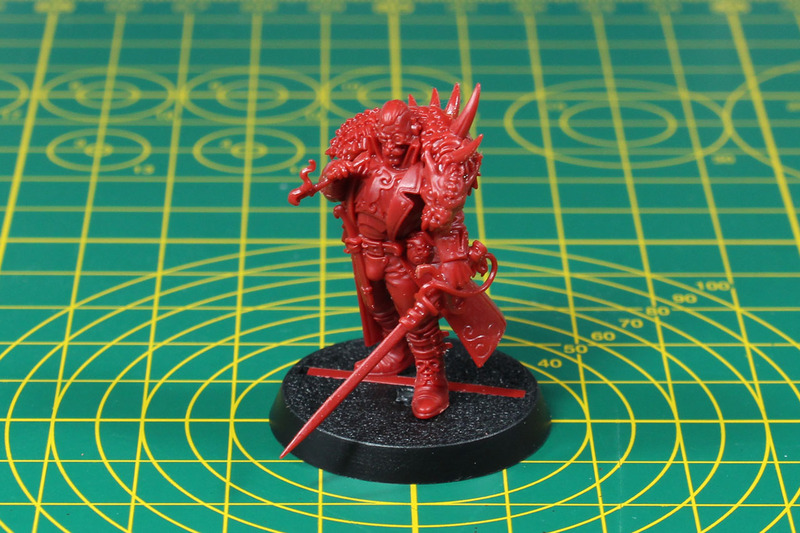 Most miniature games these days, even by larger publishers are financed by crowdfunding. 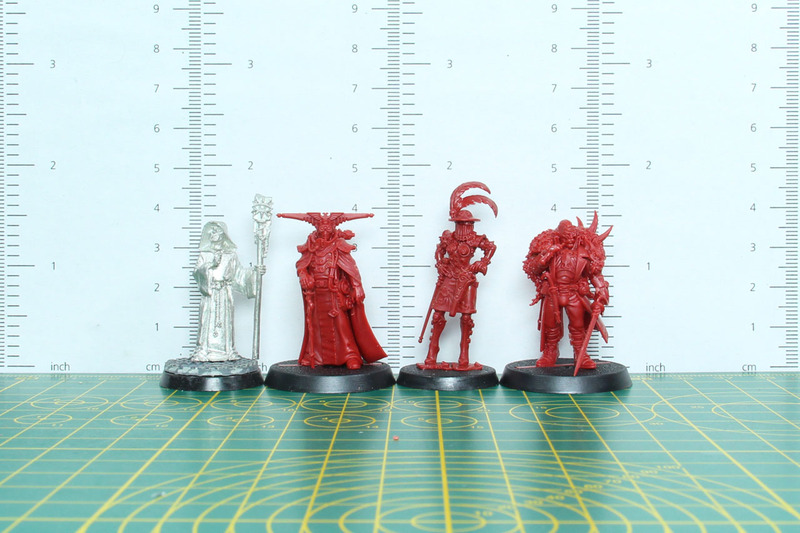 You have a 100 USD price tag for the regular pledge of something around 40-60 miniatures, a lot of uniposes with them and often just an okay-ish material the miniatures are cast from. On top comes a 20-30 USD shipping fee and as it is a crowdfunding, you have to wait a couple of months until you get it. 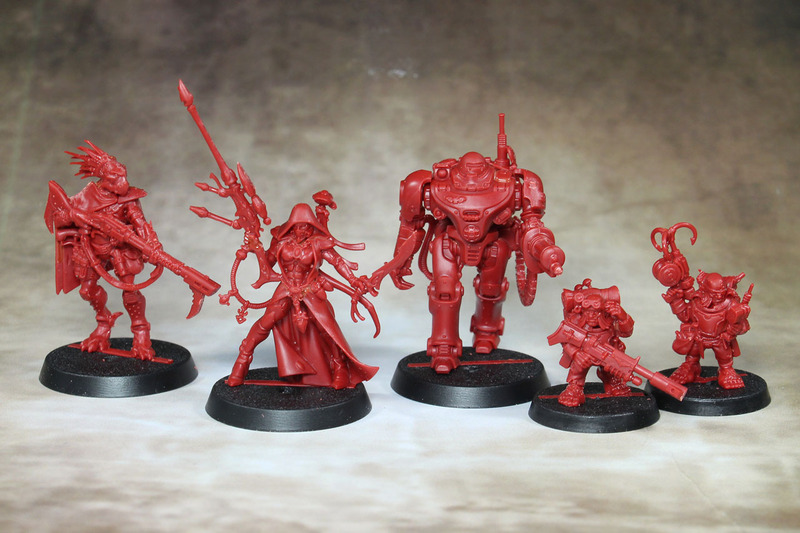 And with Blackstone Fortress you are at a similar price, but you can pick it up at your FLGS or have it send to you, you know what to expect (either from your experience or from what you've read in this review) and have an ongoing support of the product range. 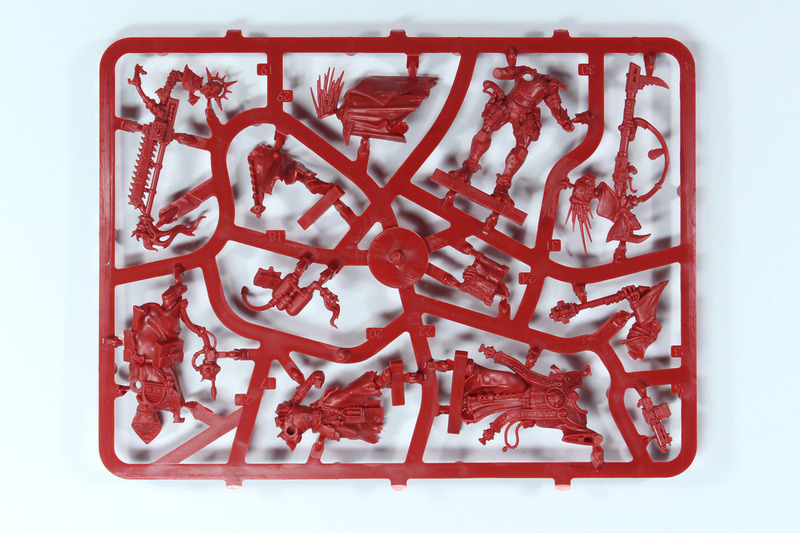 Besides that, having a closed board game that uses Citadel miniatures is a great way to introduce other games to Wargaming. 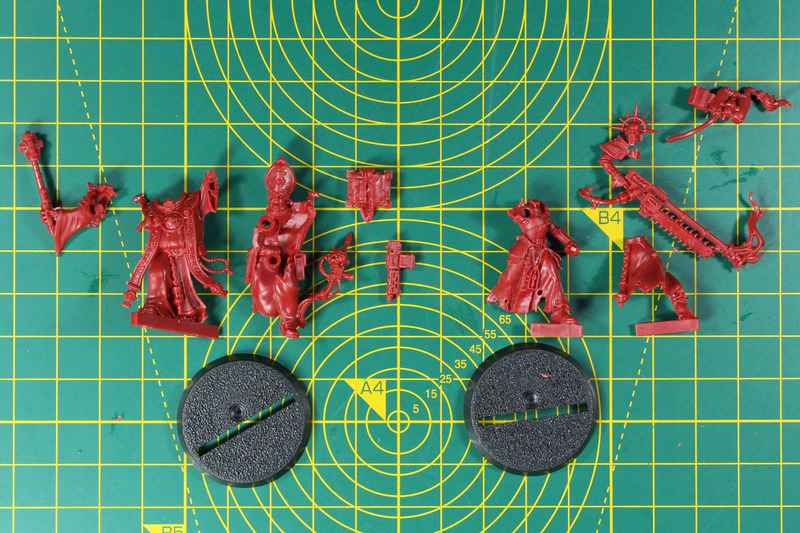 They have played other miniature board games, but the quality of an injection moulded plastic miniature, especially by Citadel / Games Workshop, beats most of the miniatures delivered with other miniature board games, at least in terms of material quality. And other gamers will notice that difference. 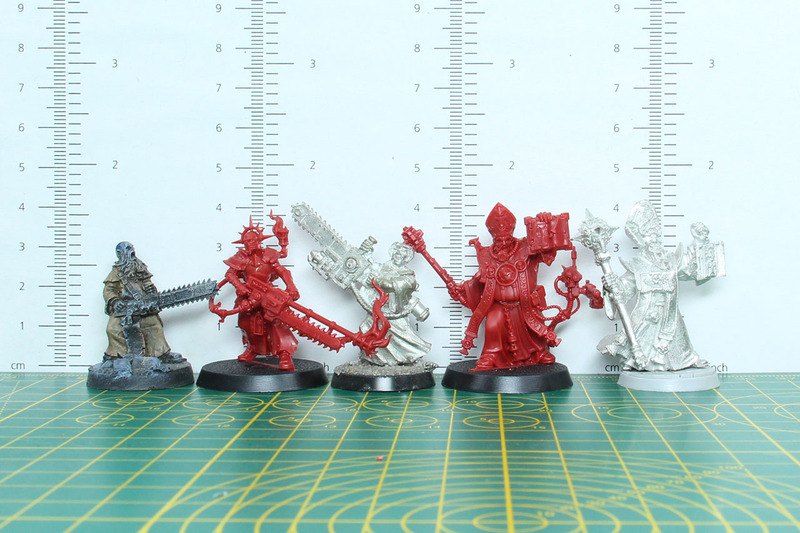 I am looking forward to what they have planned next for the Warhammer Quest range set in the 40k universe, as the coverage and additions of smaller factions like Rogue Traders, the Imperial Navy and hopefully more meta-humans is just a great thing. Warhammer 40,000 is a brand by Games Workshop.